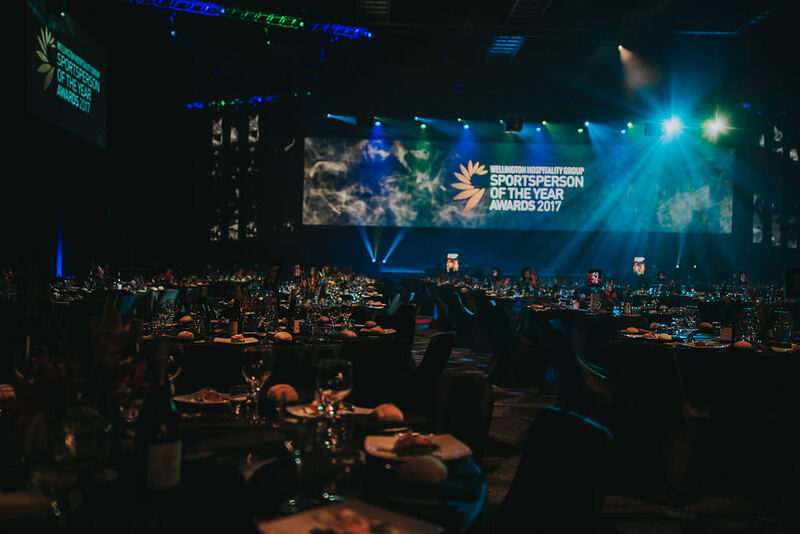 Congratulations to all of the winners and finalists at the 2017 WHG Sportsperson of the Year Awards! 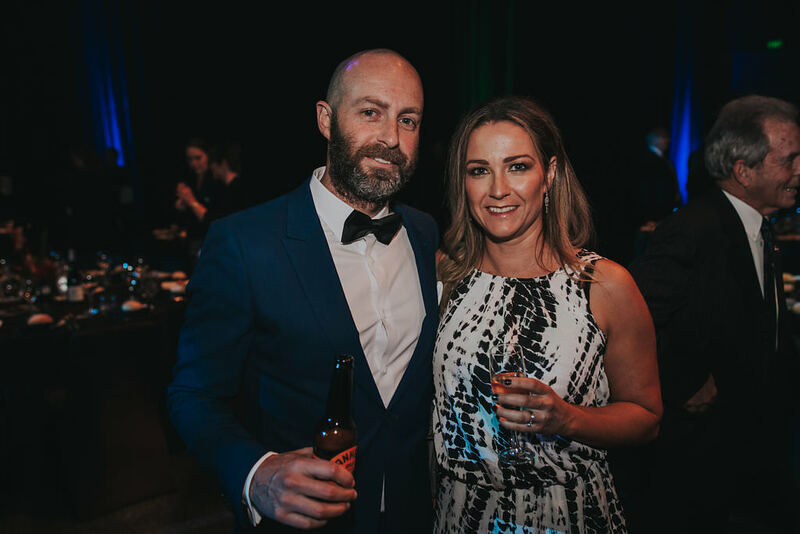 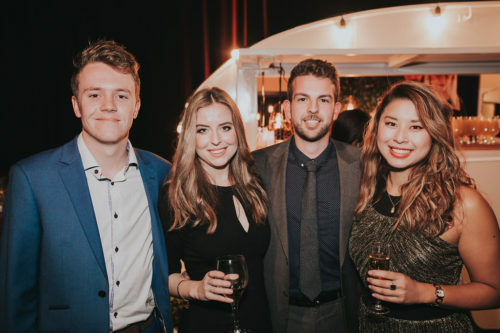 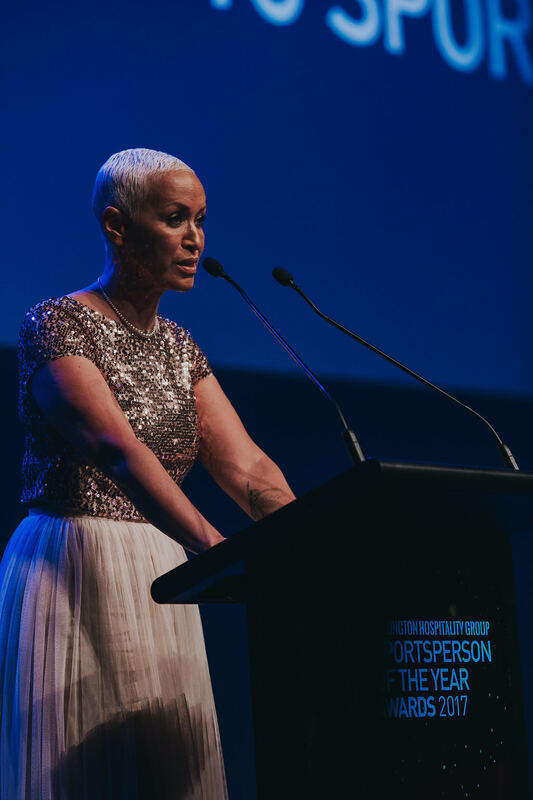 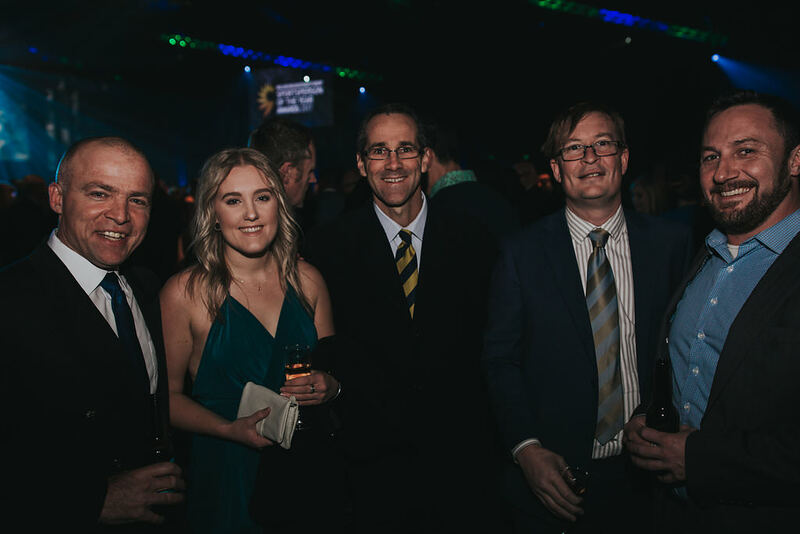 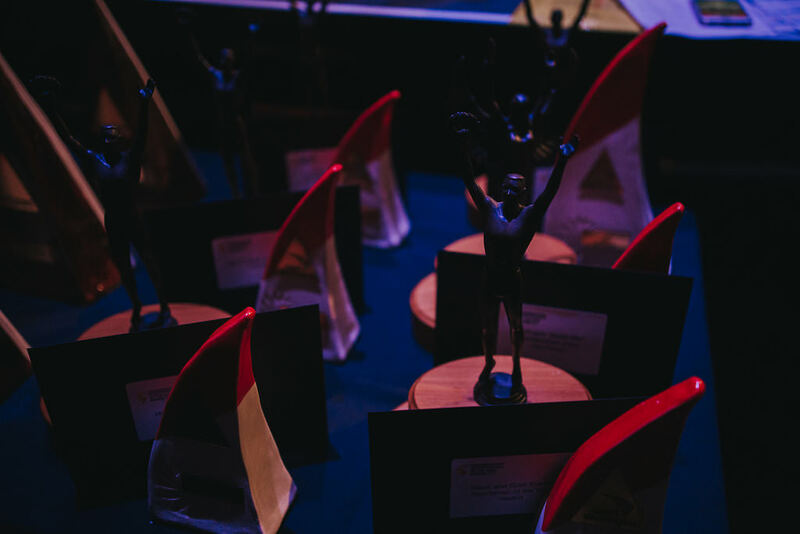 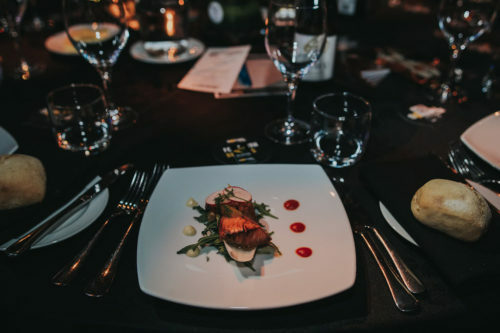 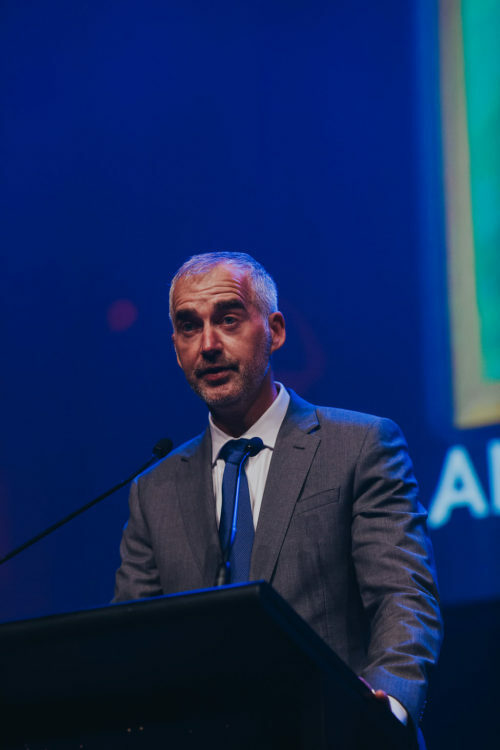 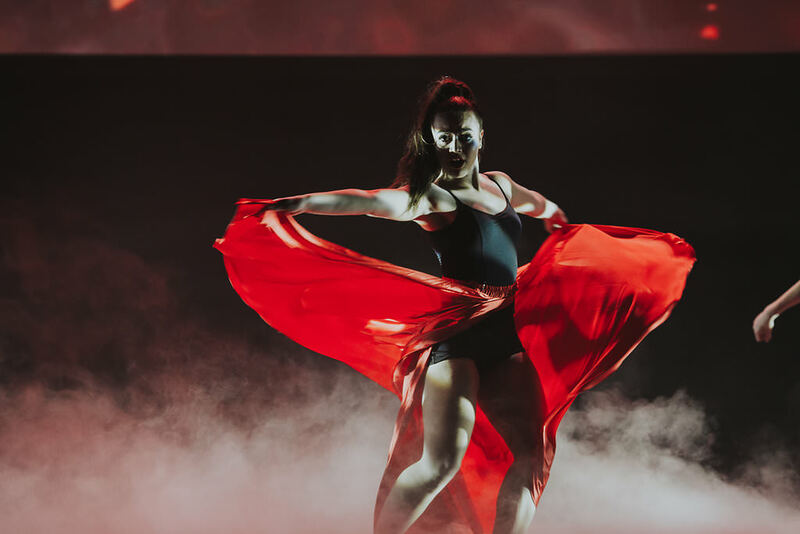 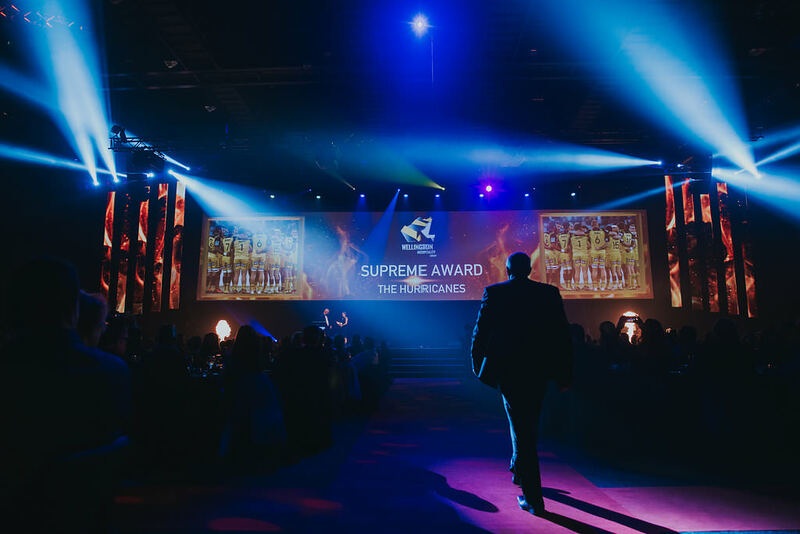 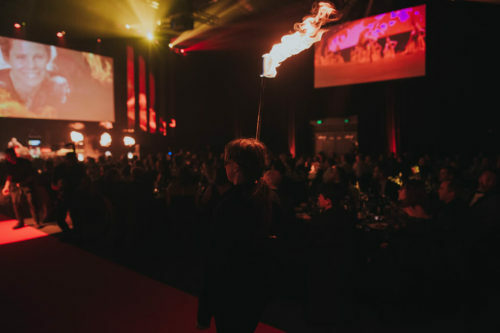 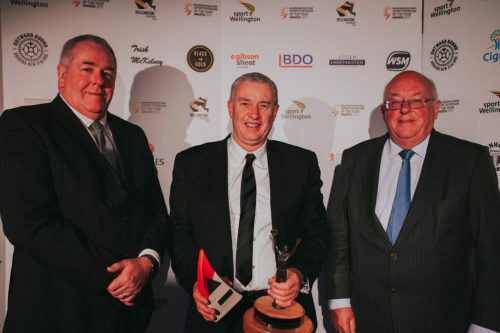 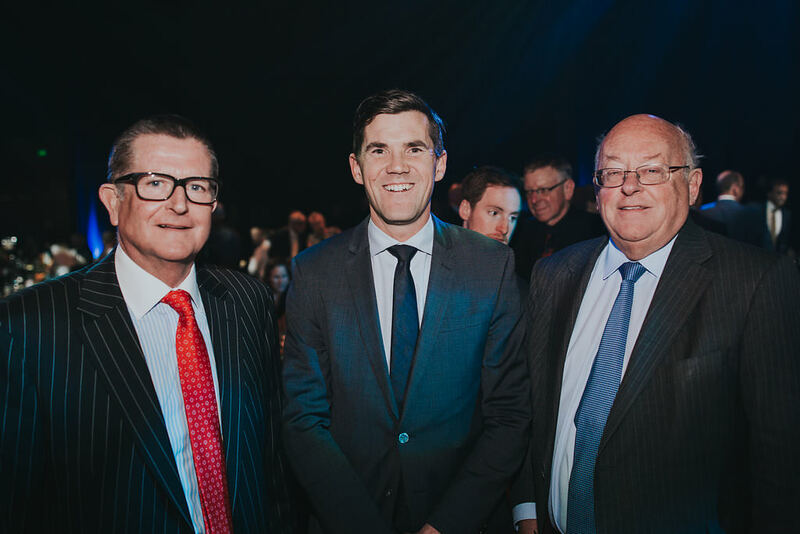 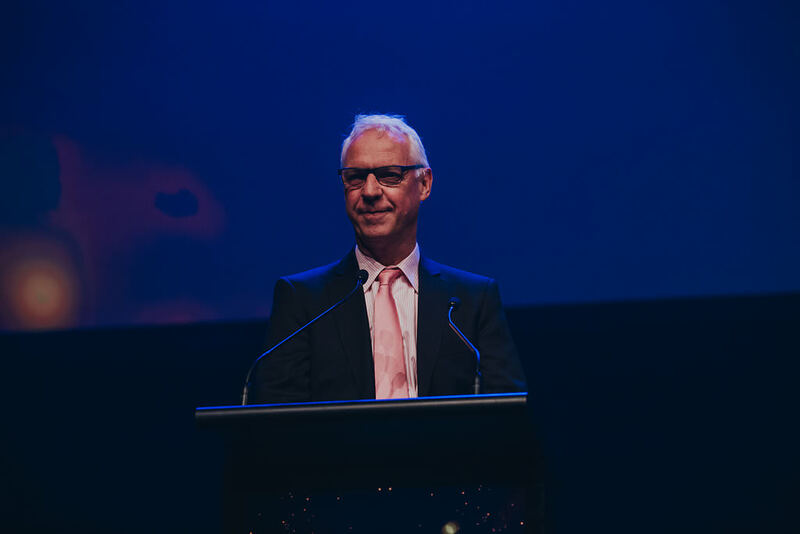 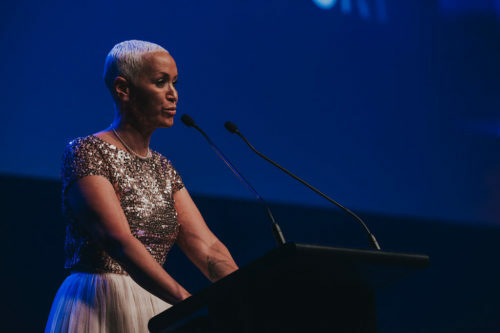 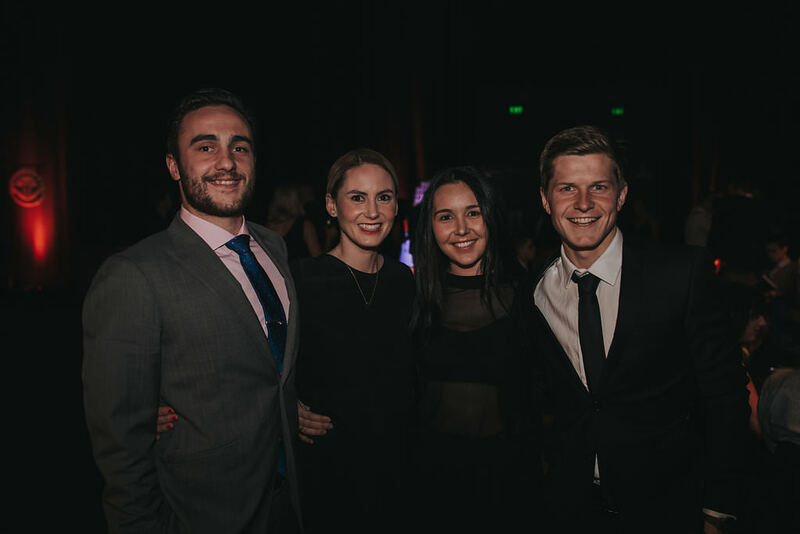 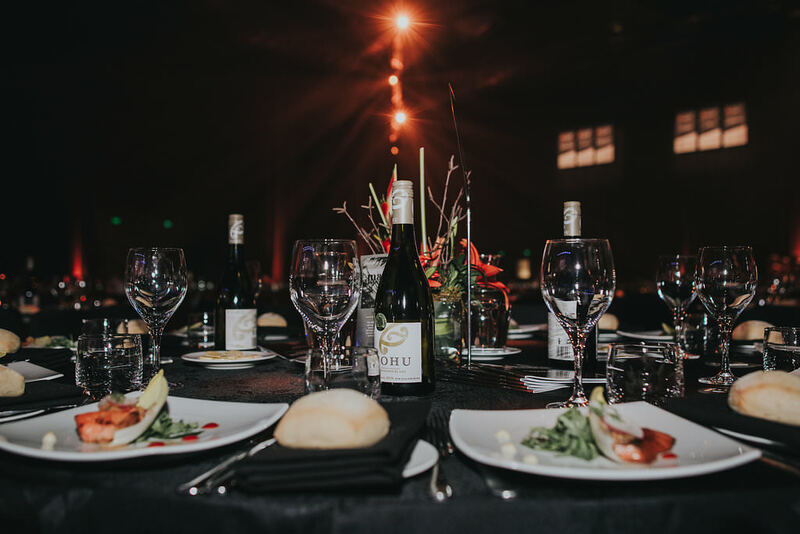 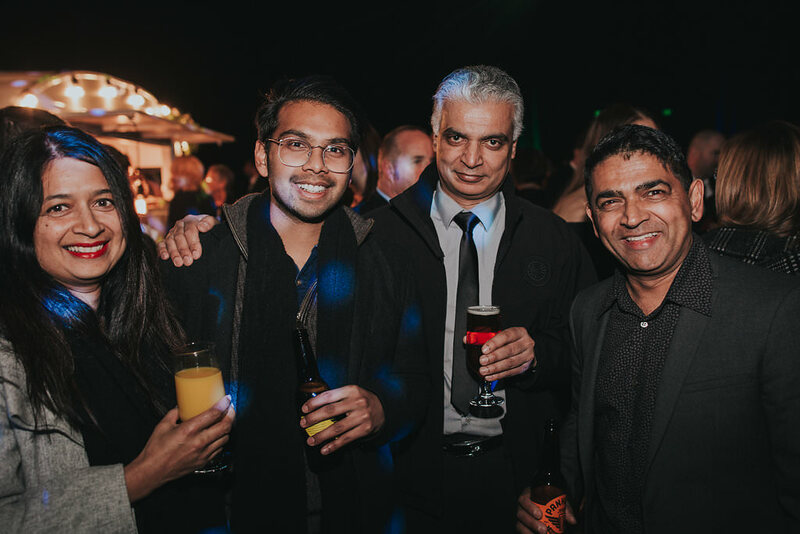 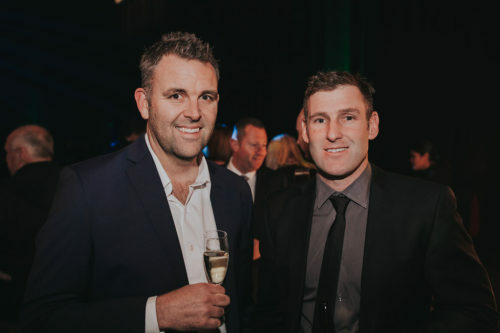 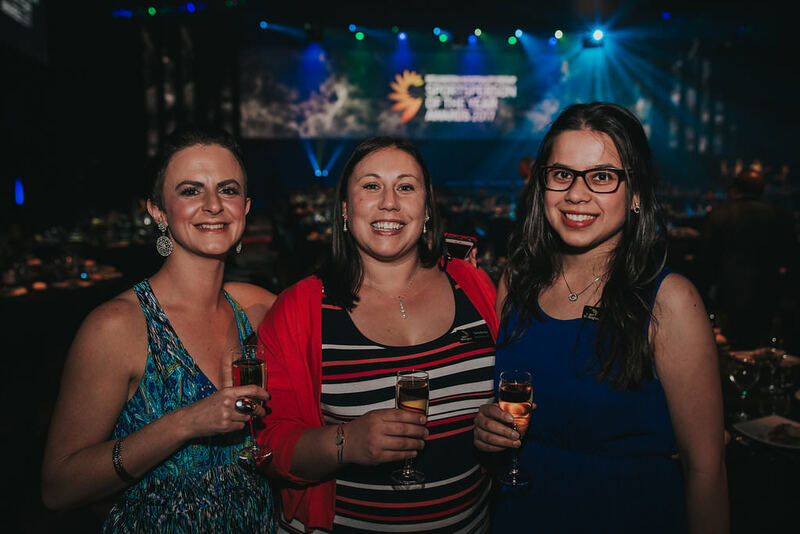 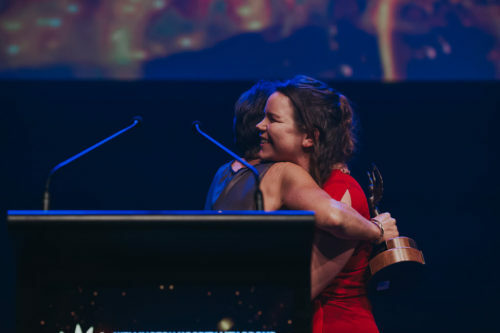 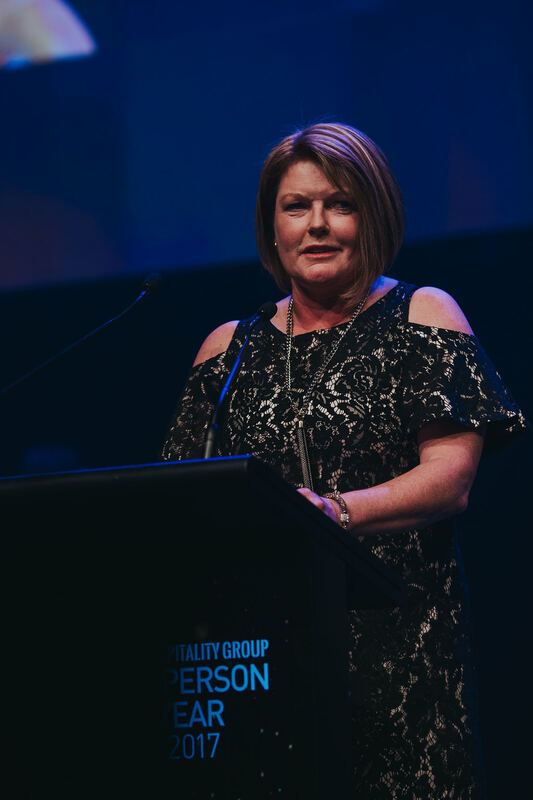 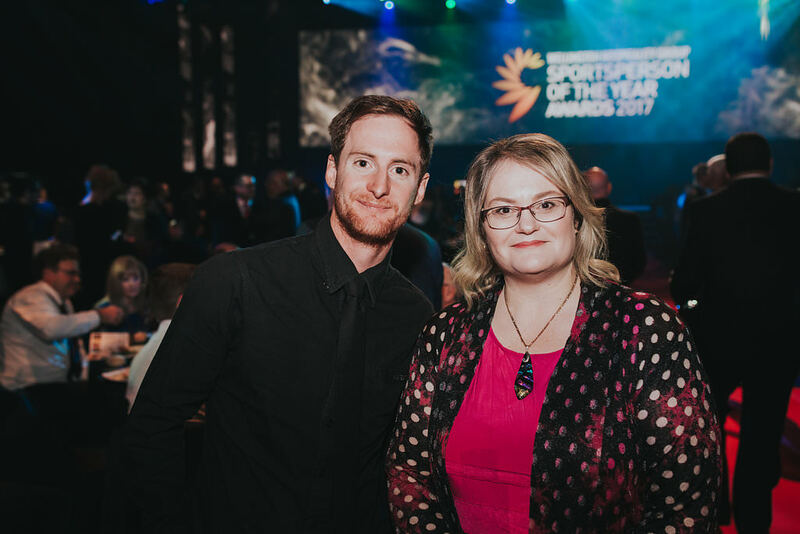 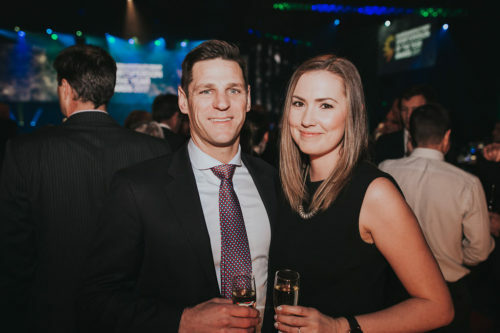 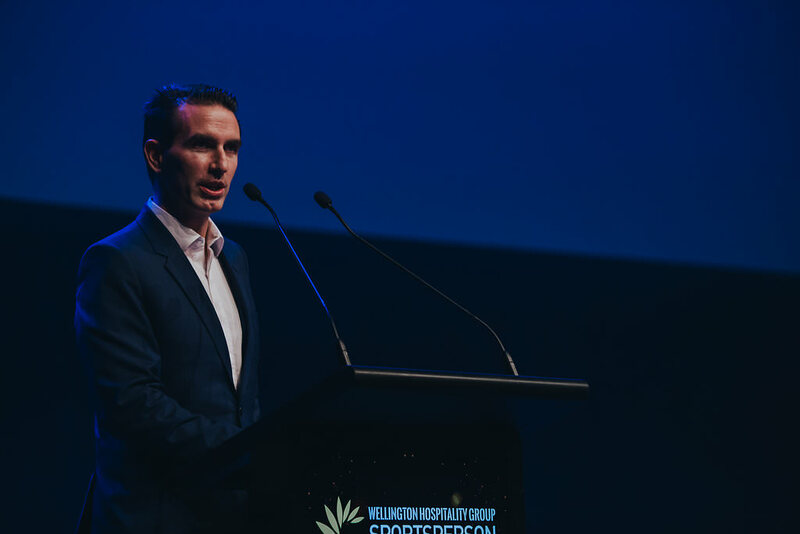 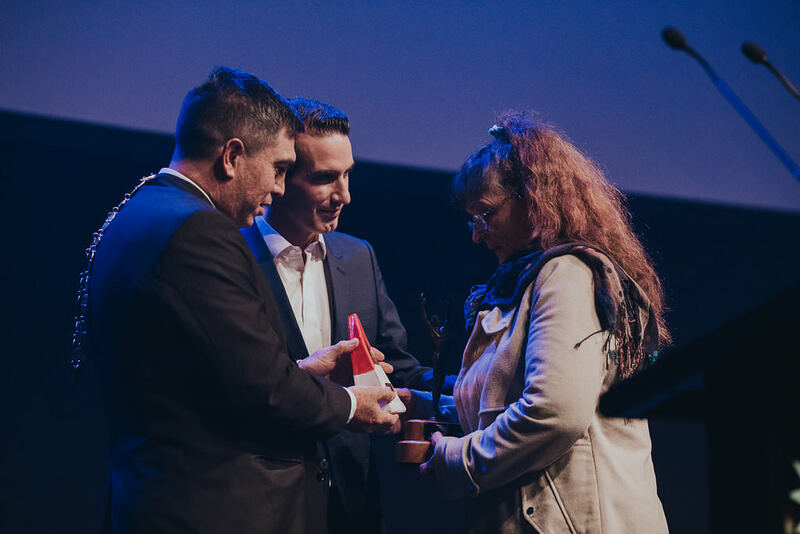 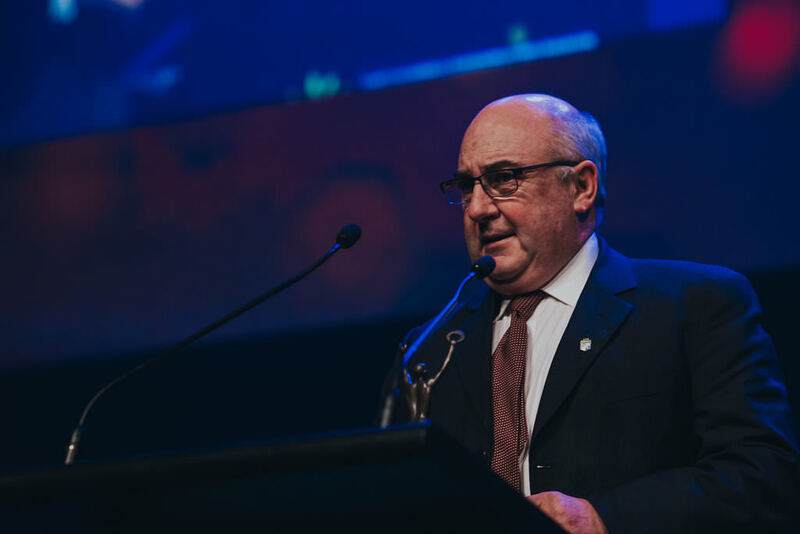 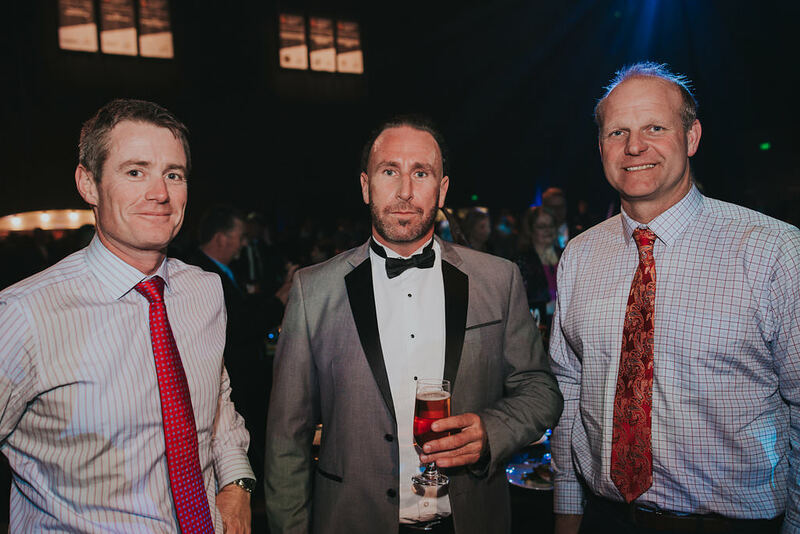 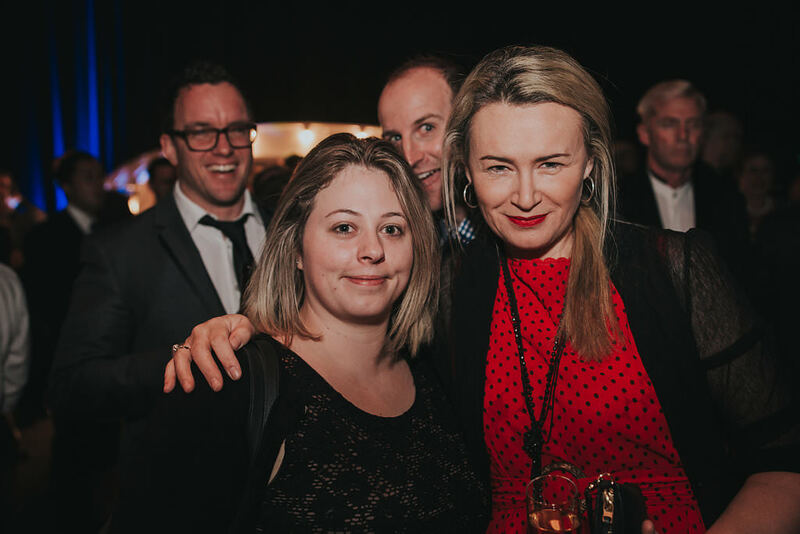 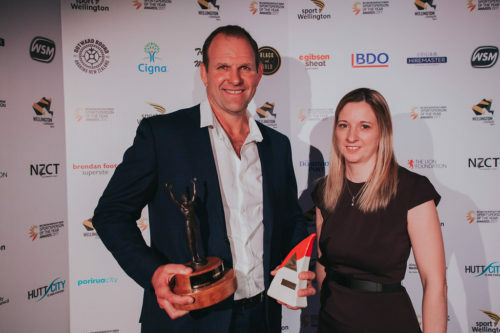 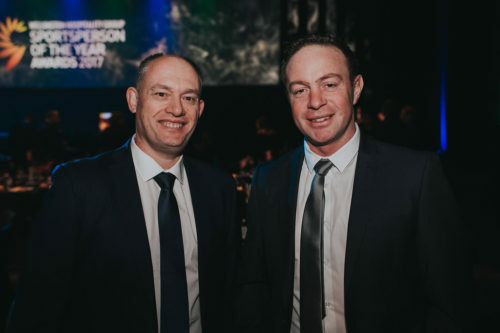 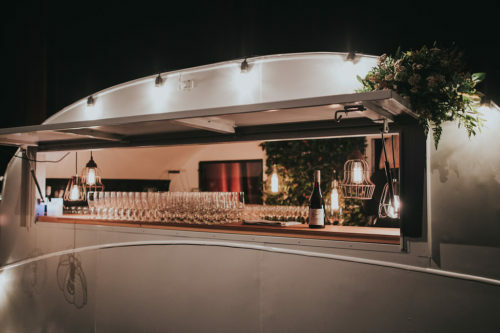 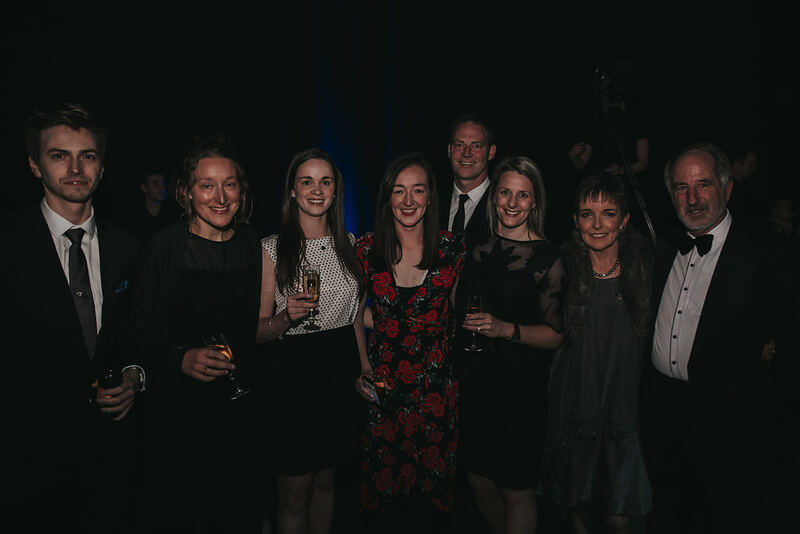 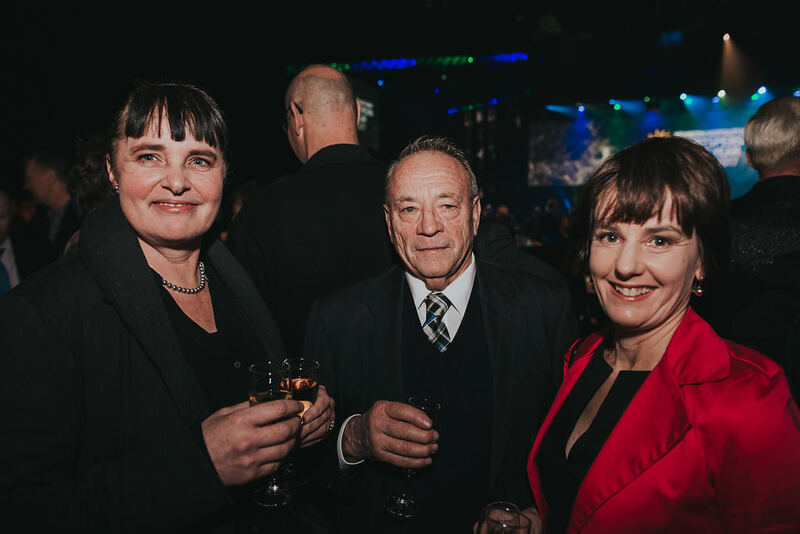 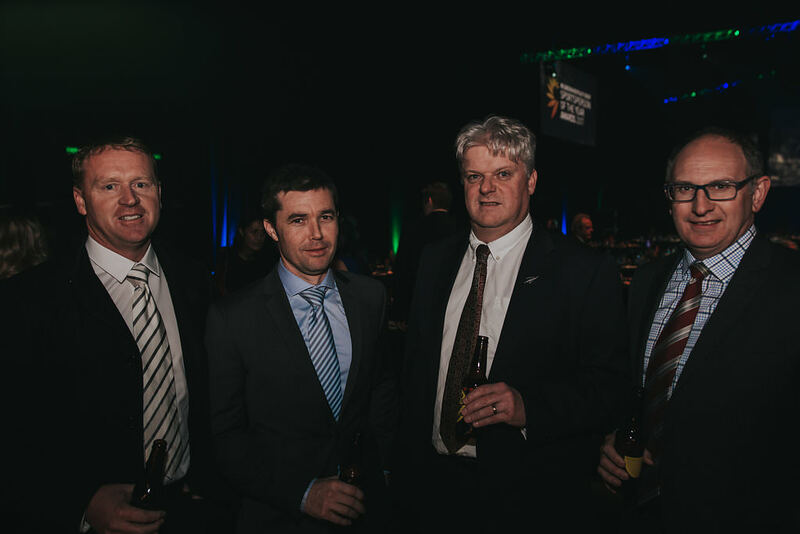 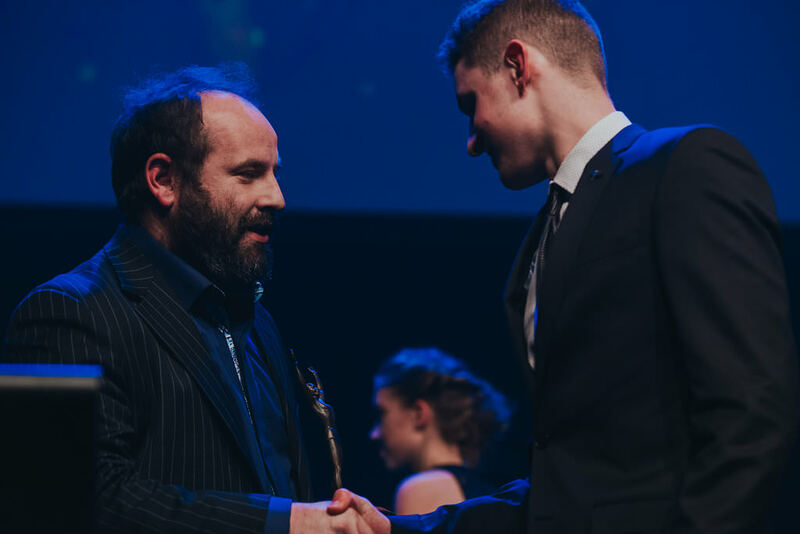 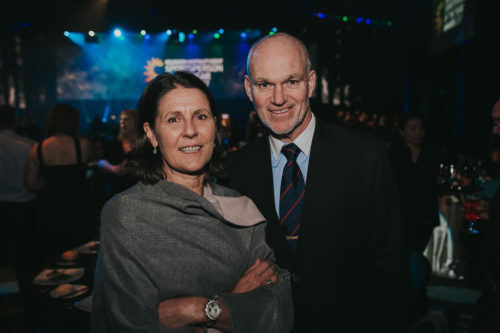 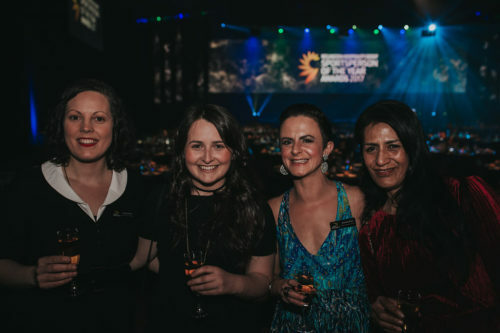 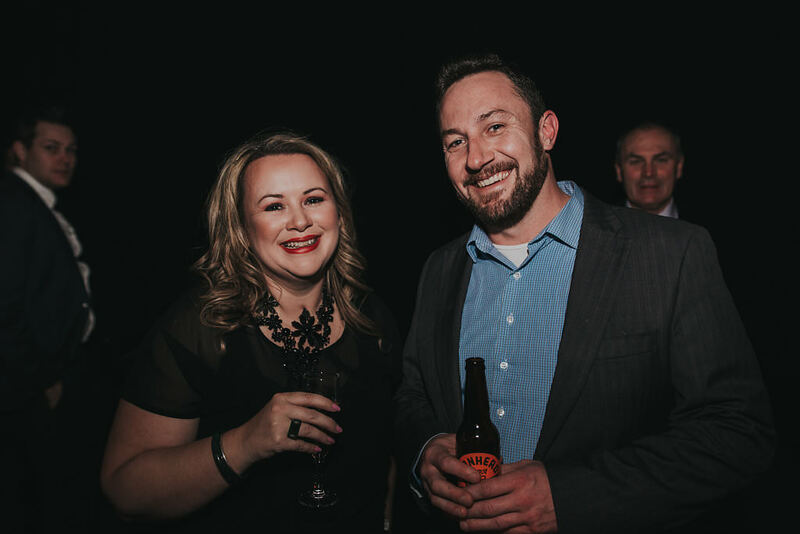 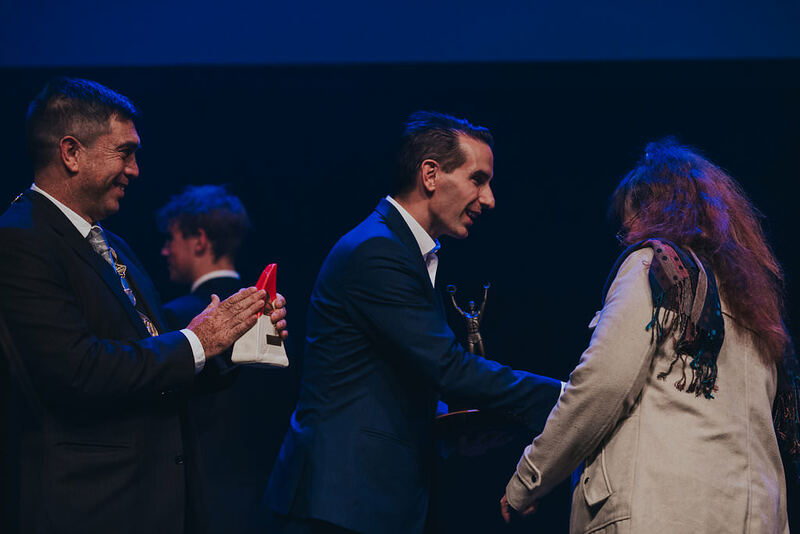 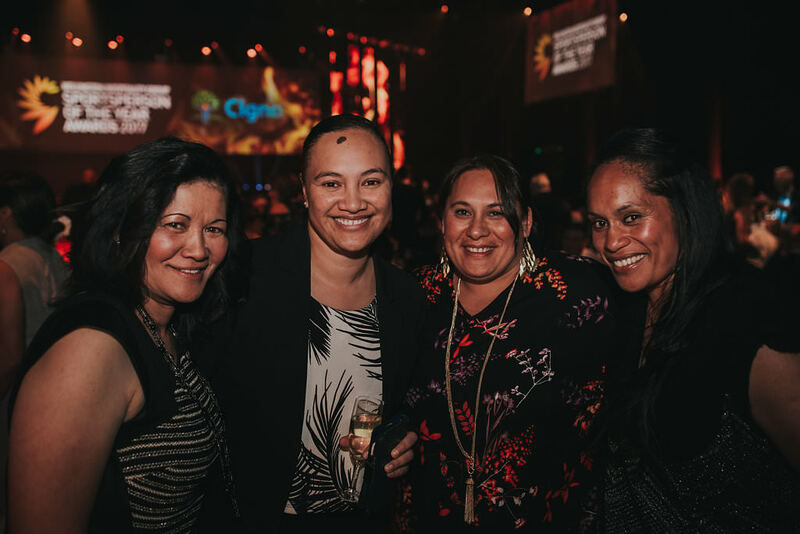 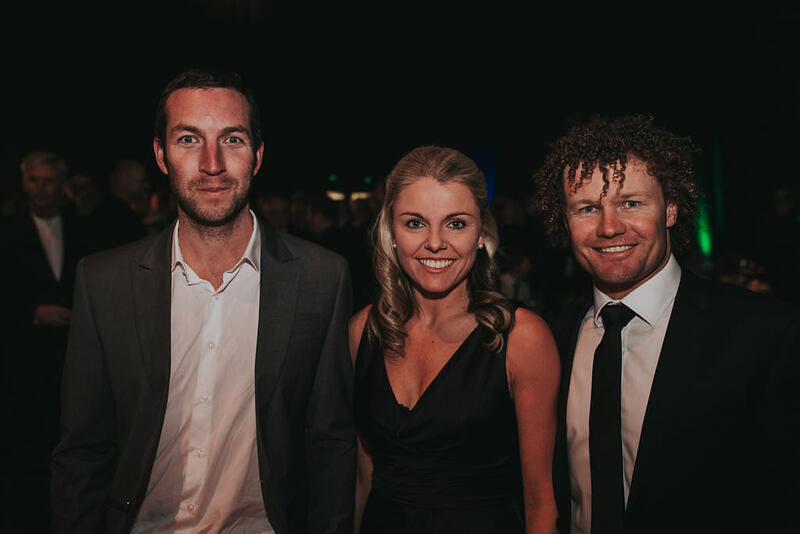 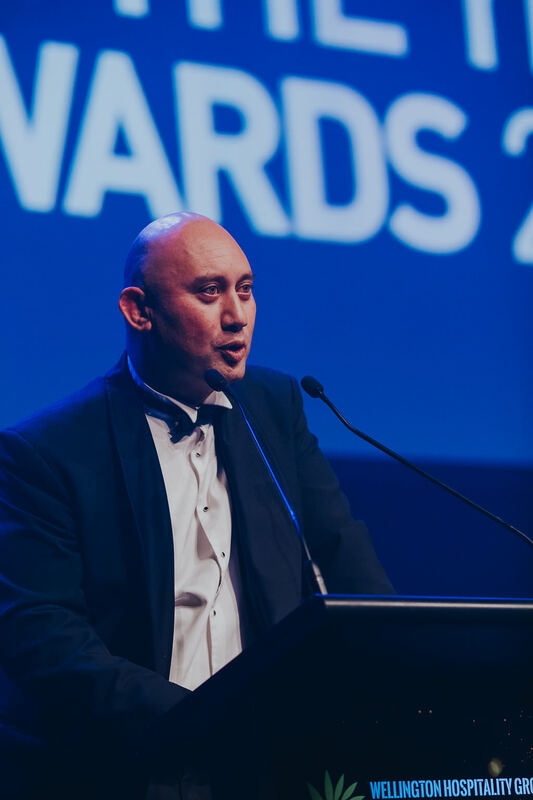 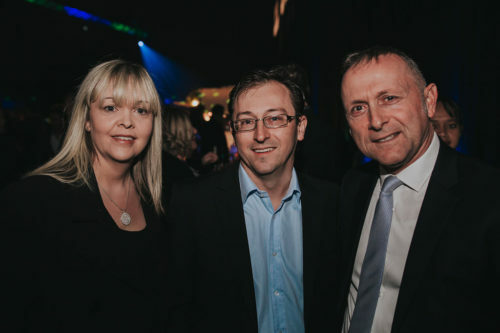 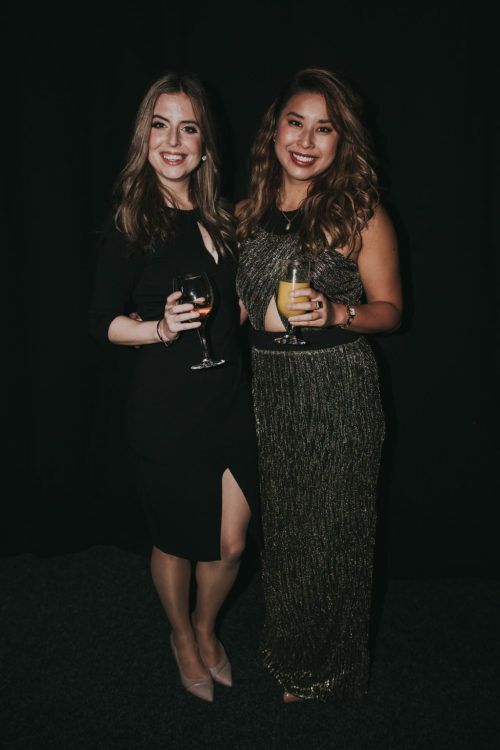 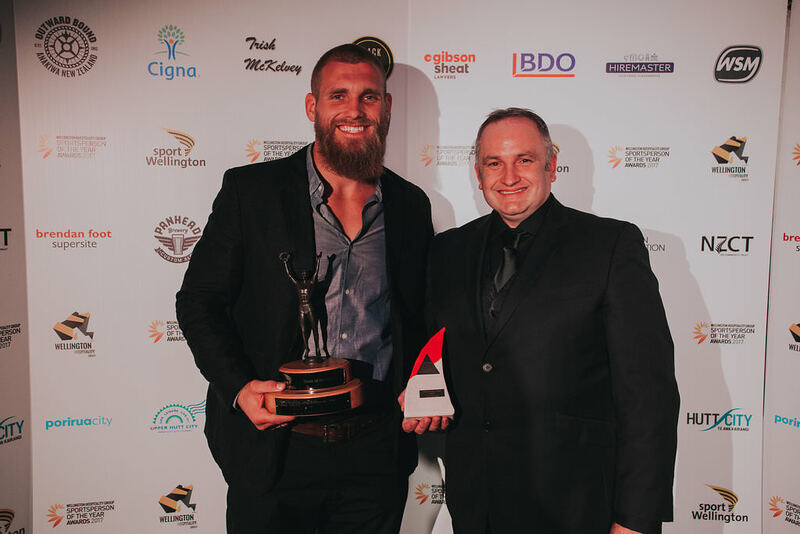 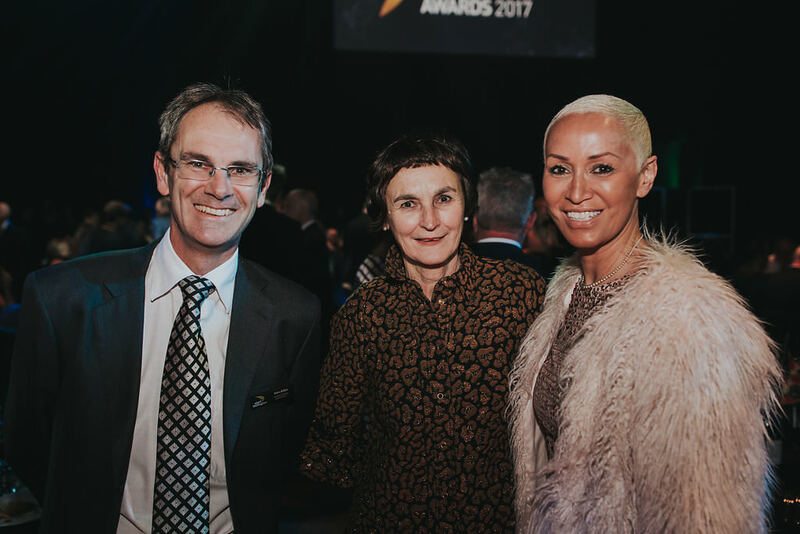 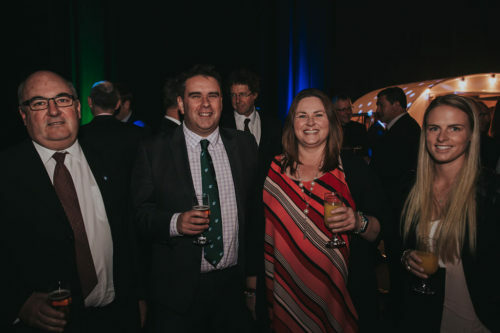 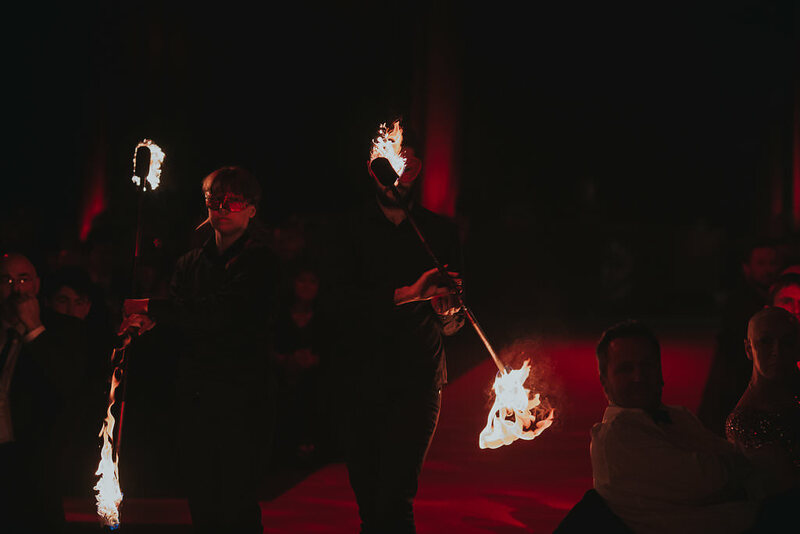 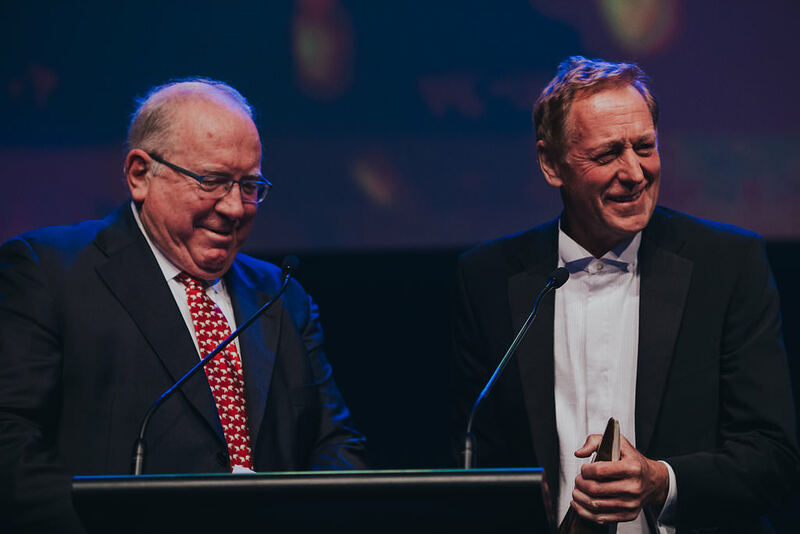 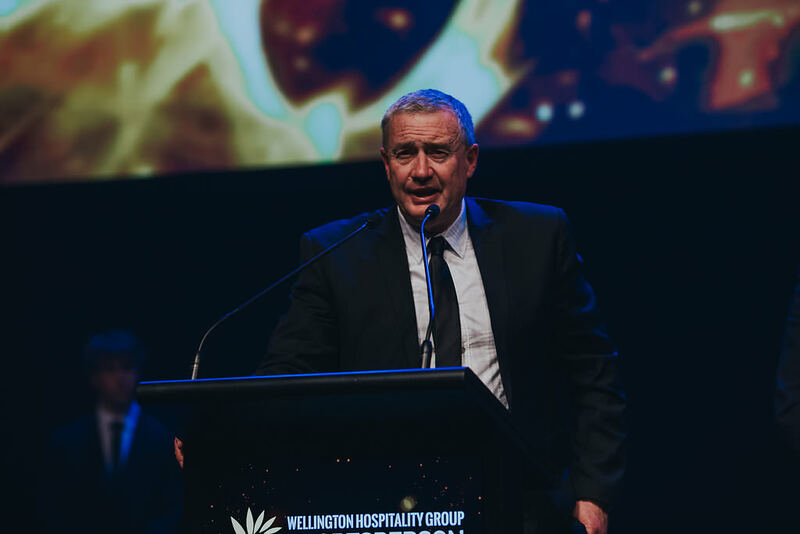 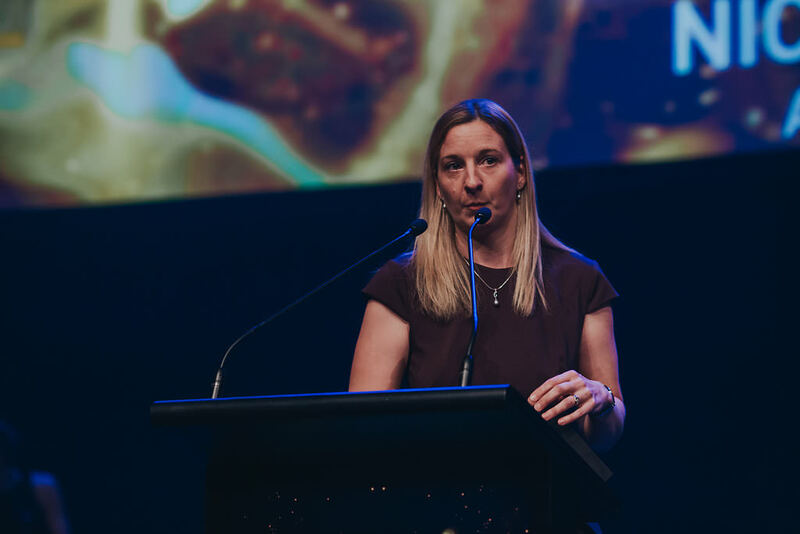 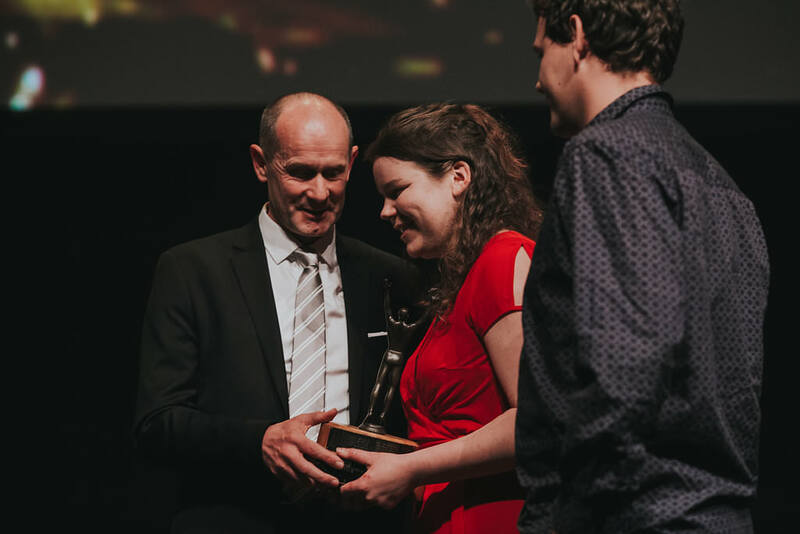 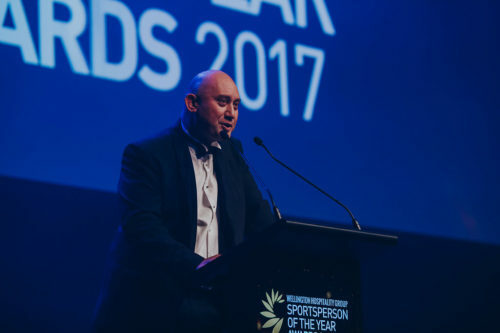 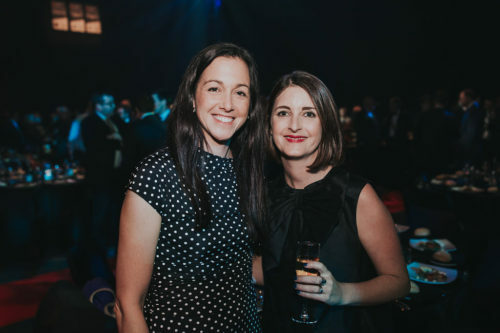 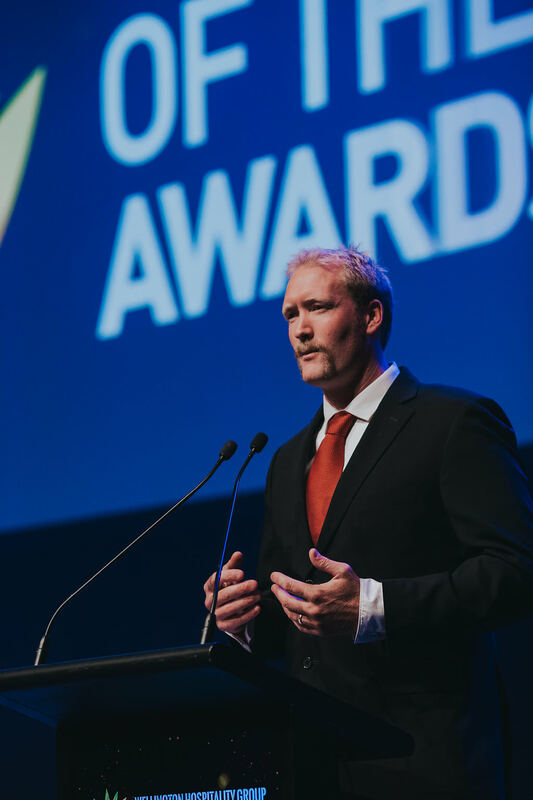 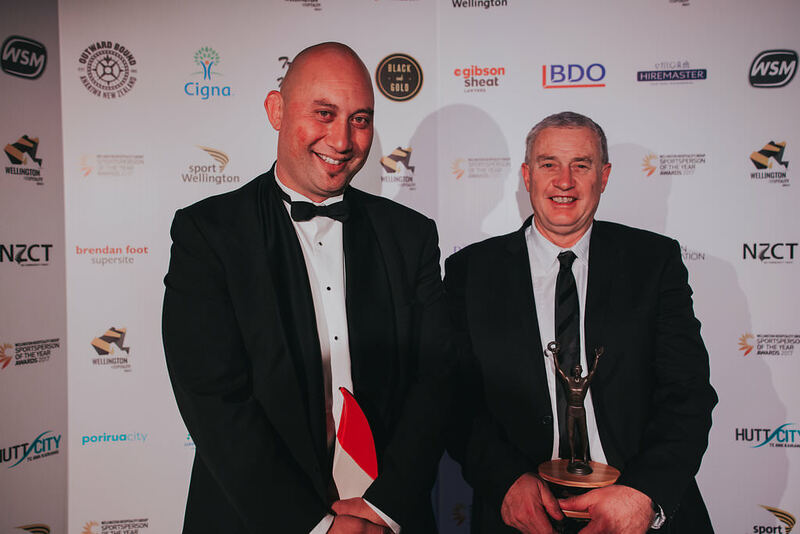 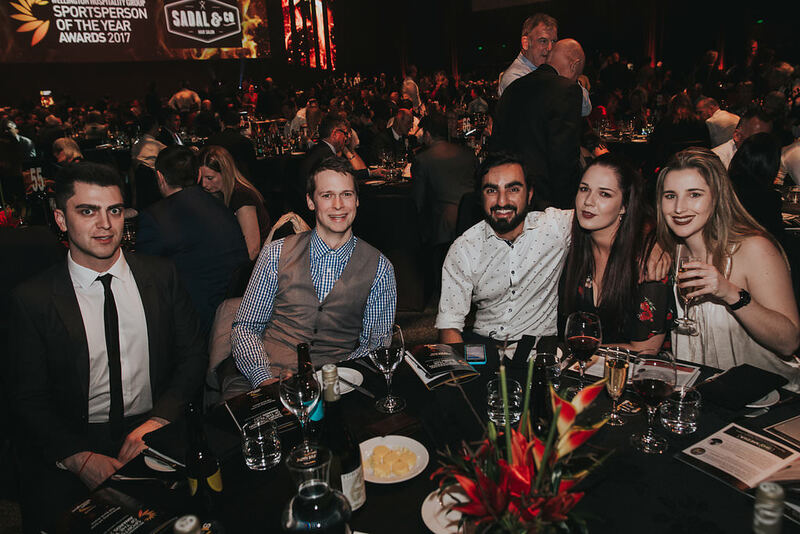 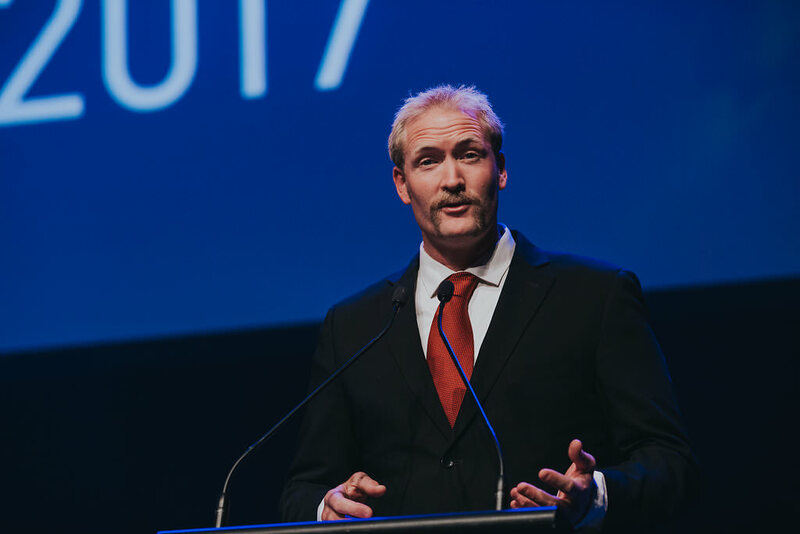 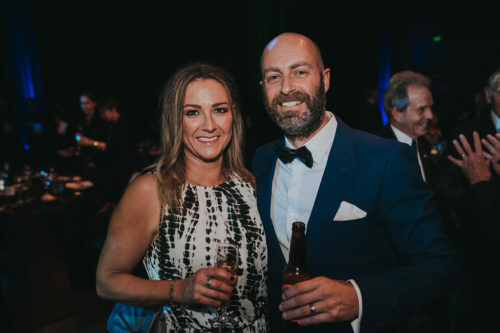 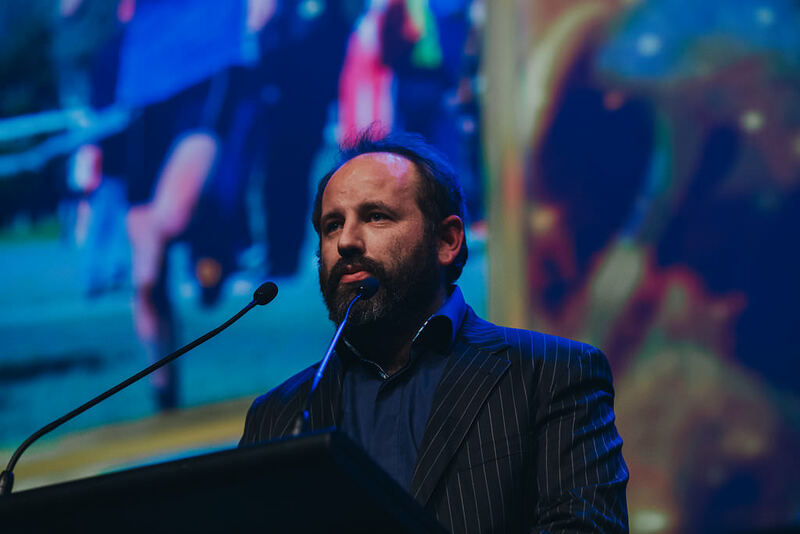 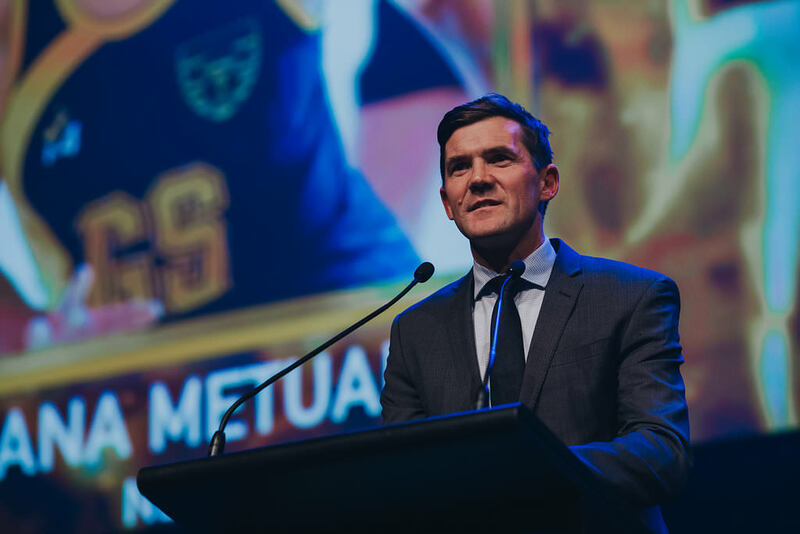 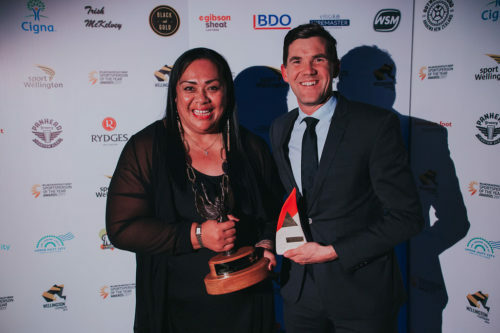 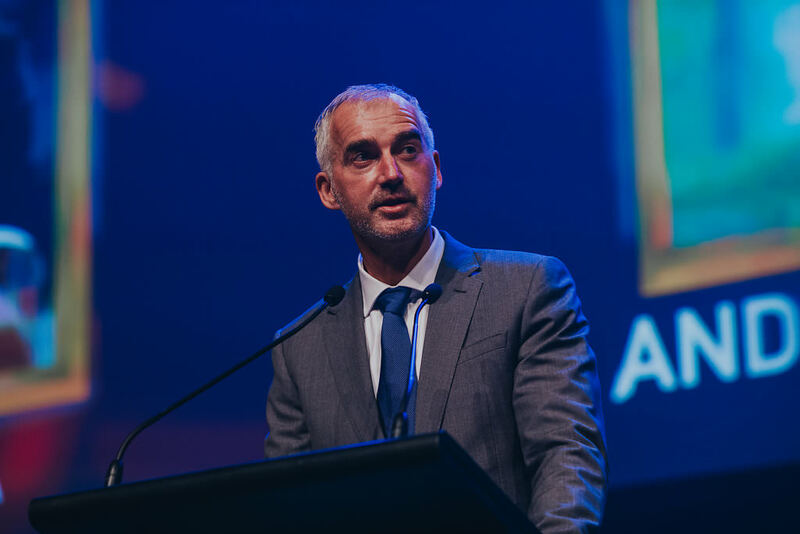 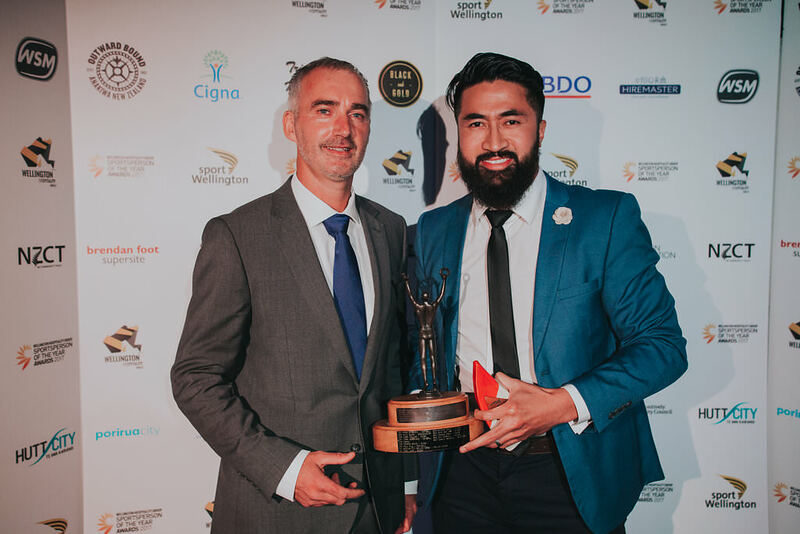 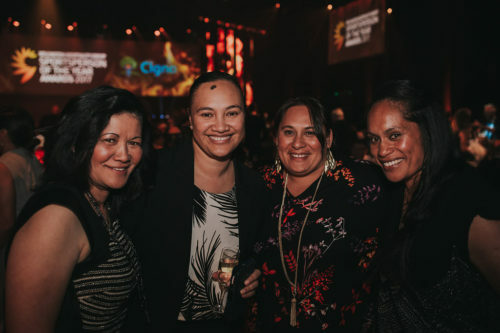 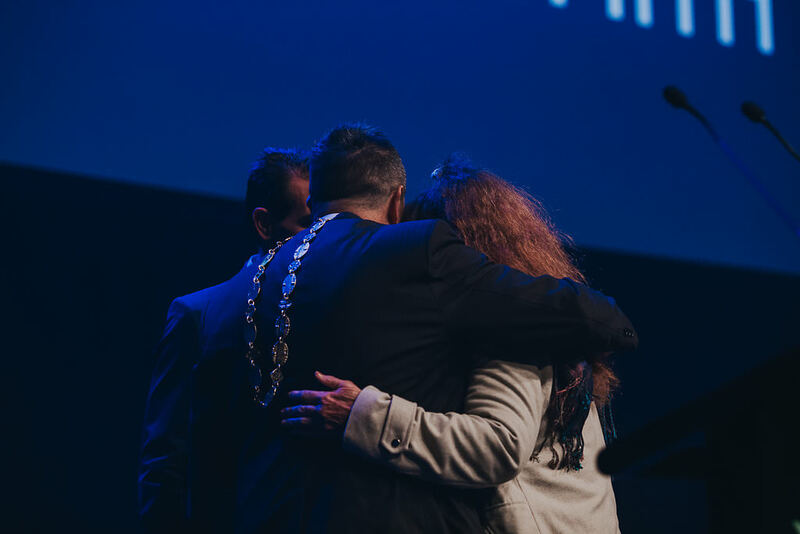 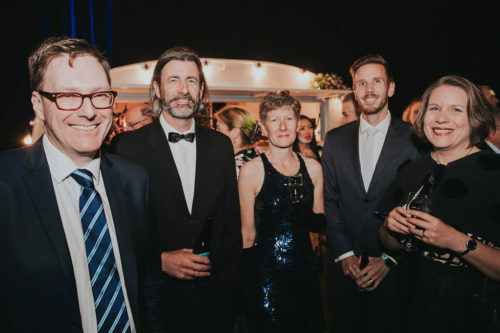 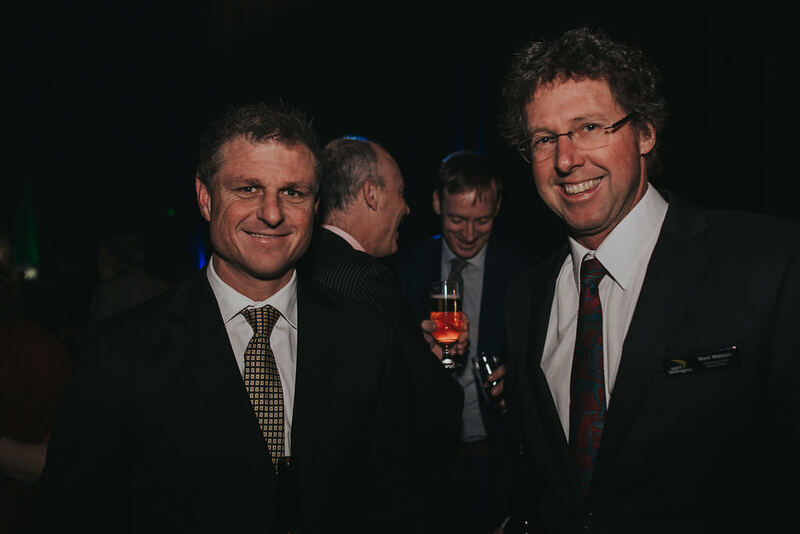 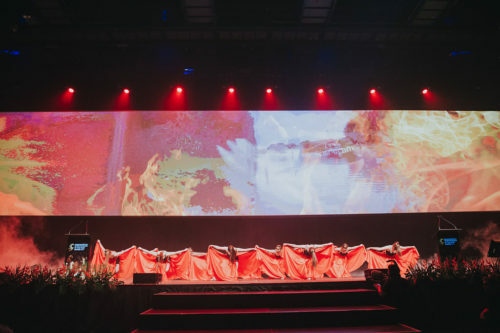 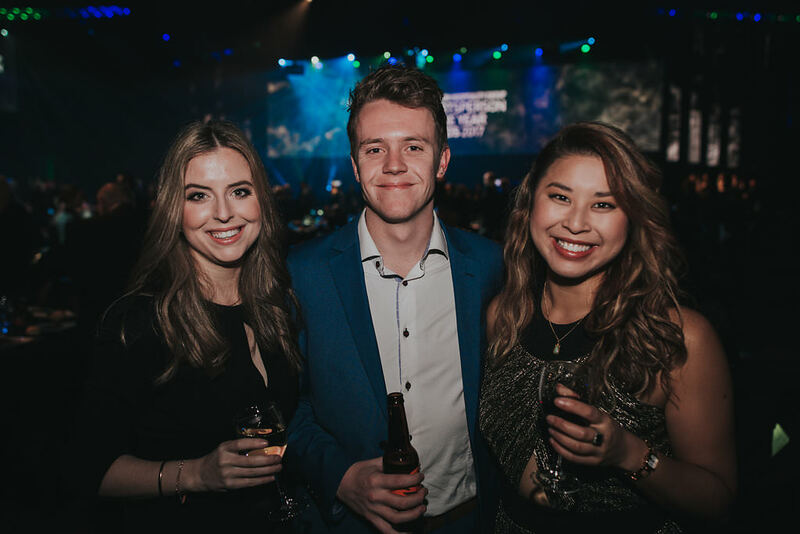 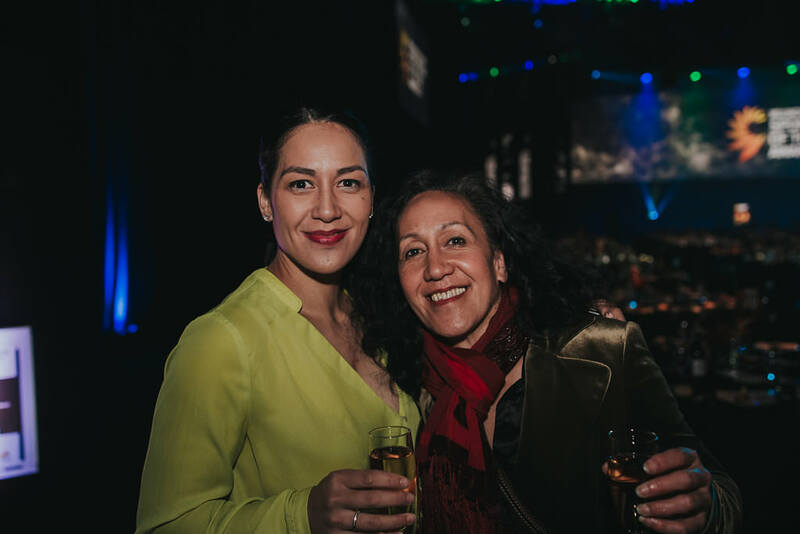 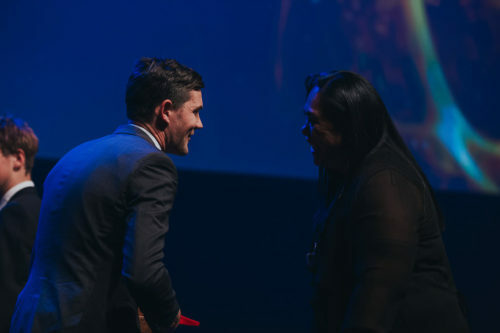 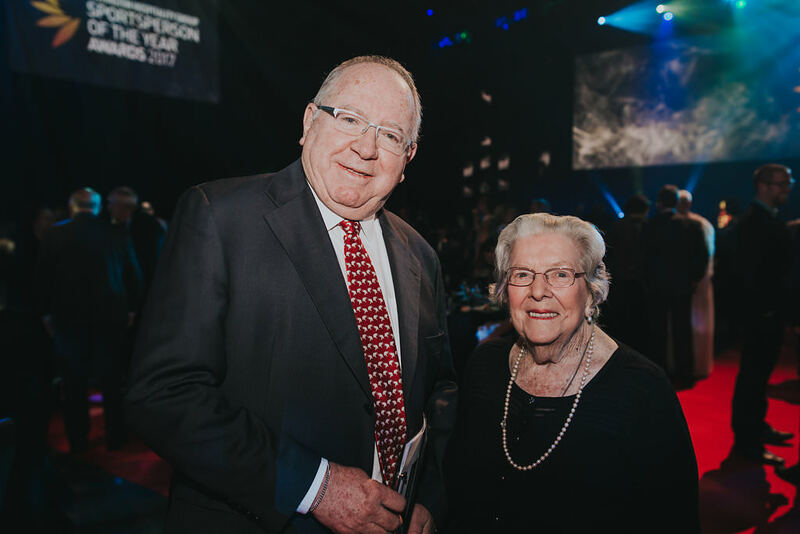 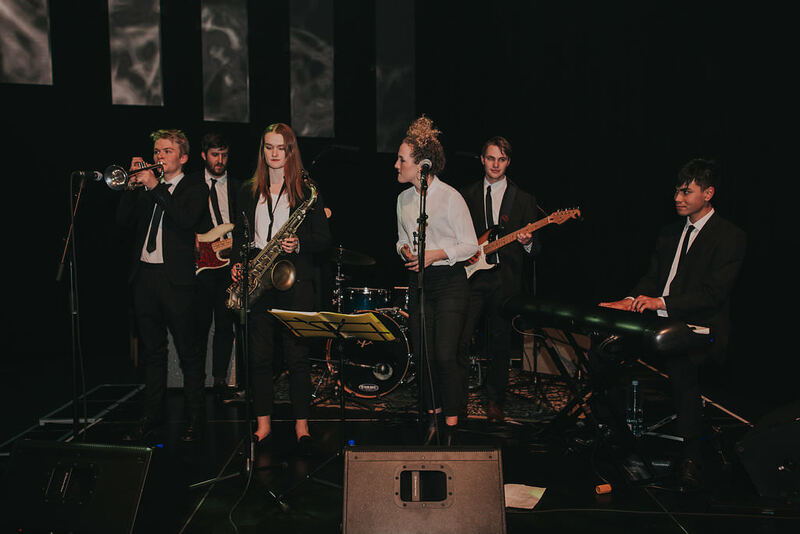 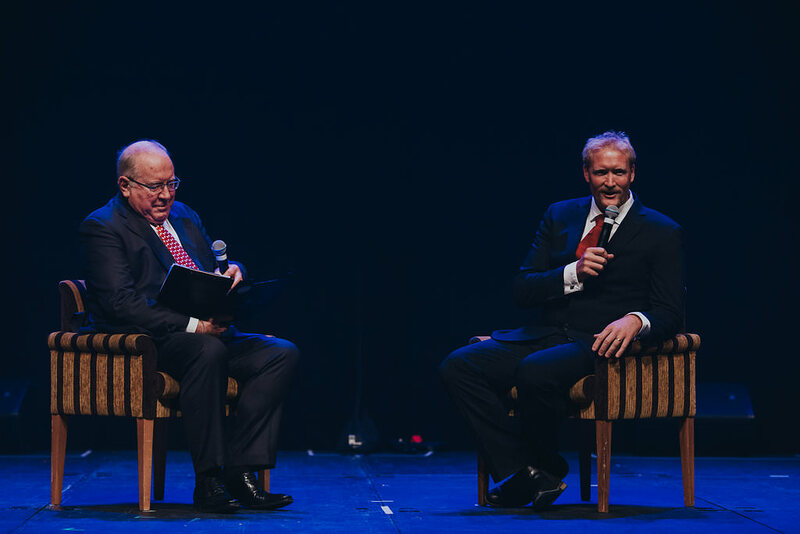 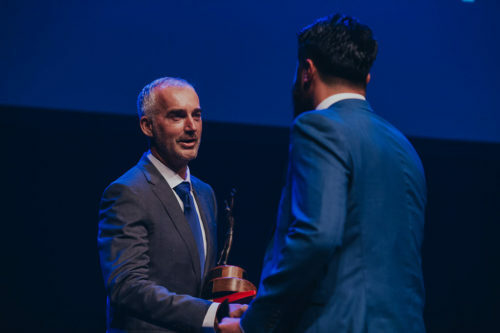 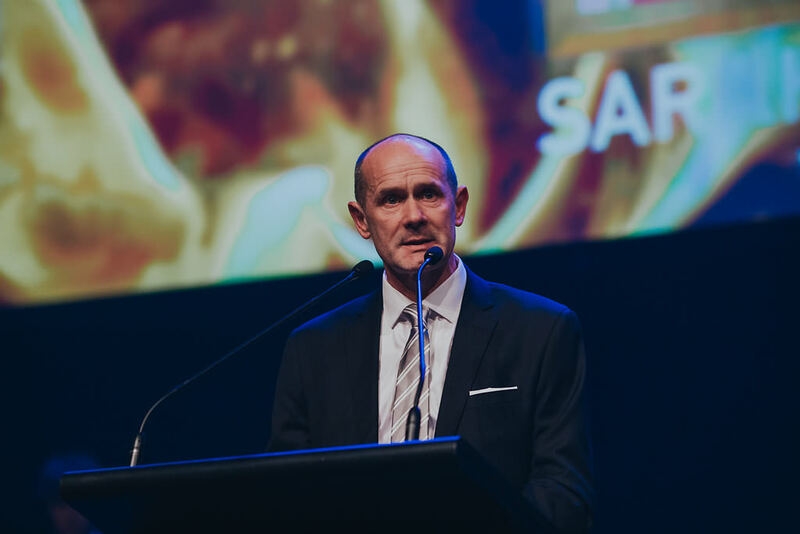 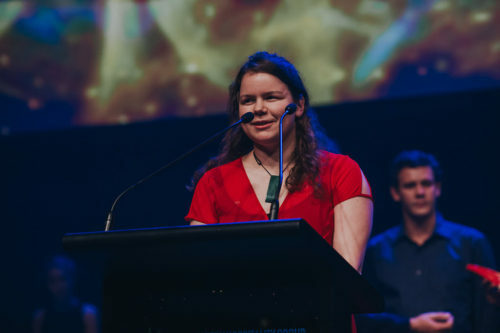 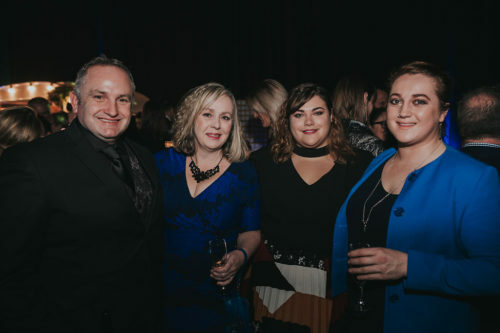 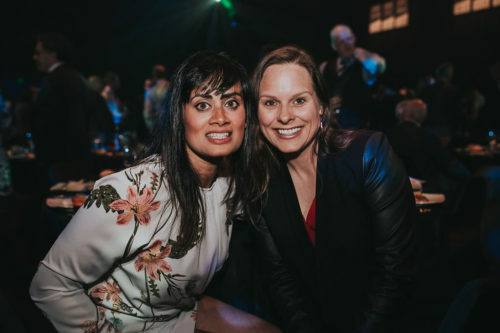 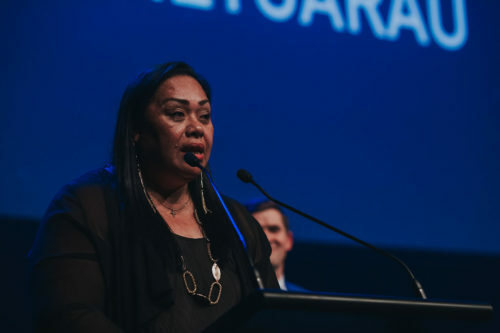 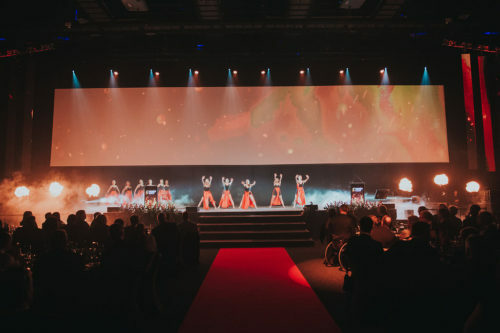 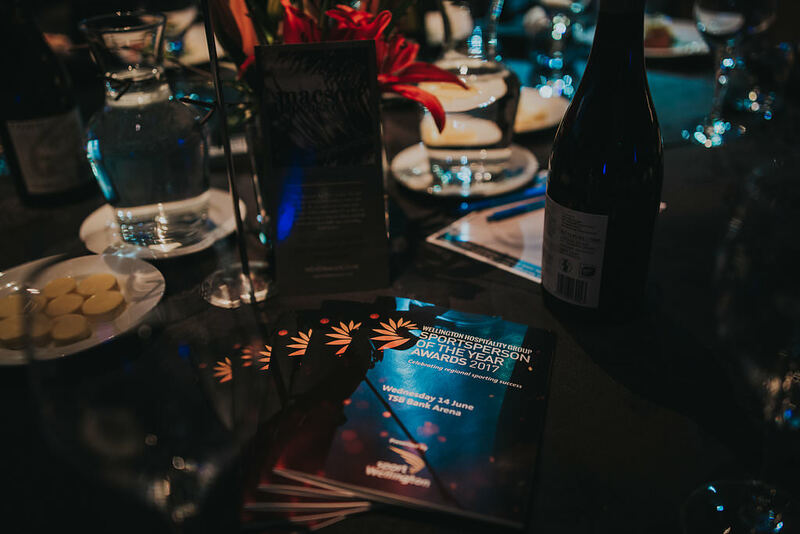 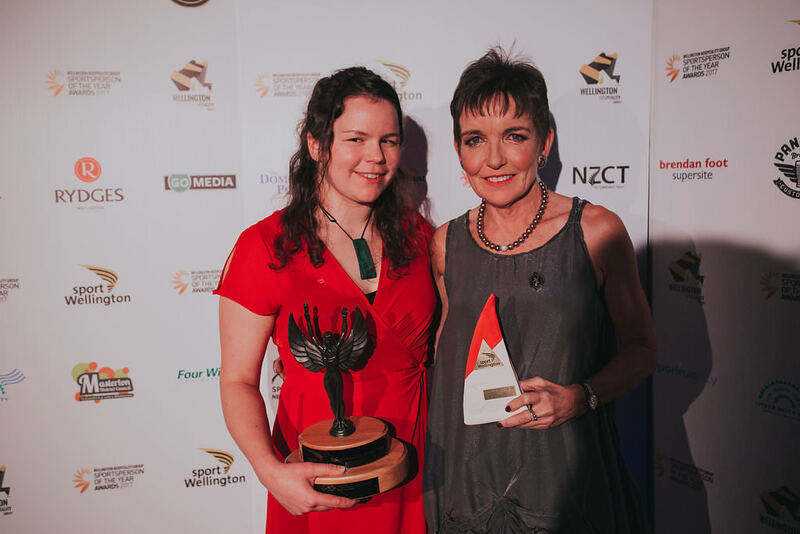 In a spectacular Awards ceremony at TSB Arena, reigning Super Rugby champions, Hurricanes, were named winners of the 2017 Wellington Hospitality Group ‘Supreme Sports Award’. 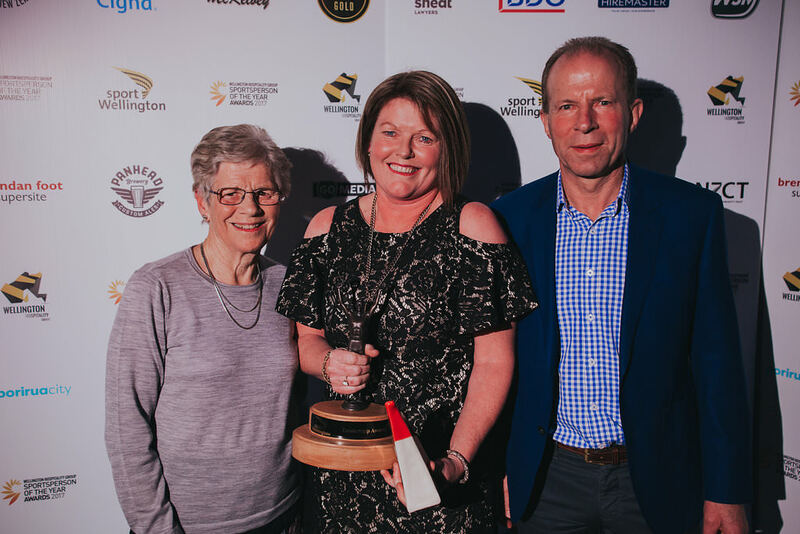 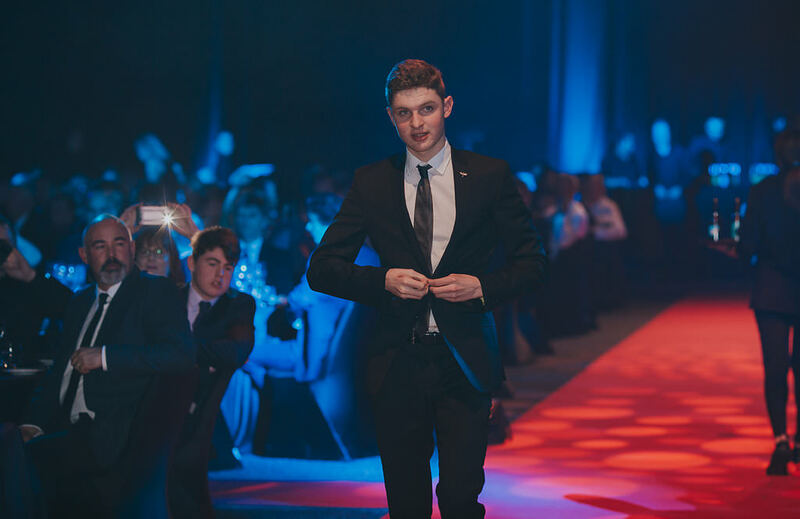 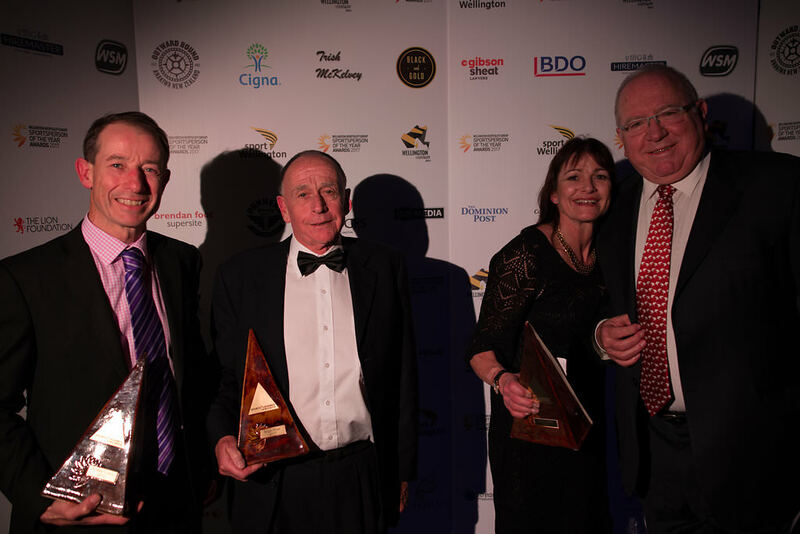 Below is a summary of the winners and finalists at last night’s awards evening.Sport Wellington Chief Executive Phil Gibbons said the judges once again faced major challenges due to the large number of high quality nominations submitted this year. 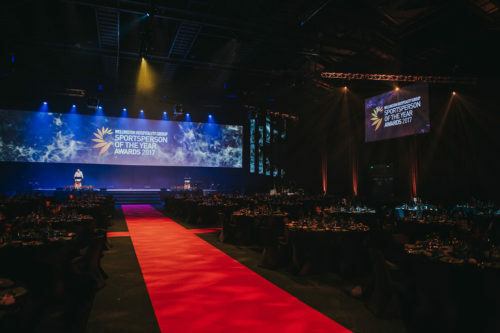 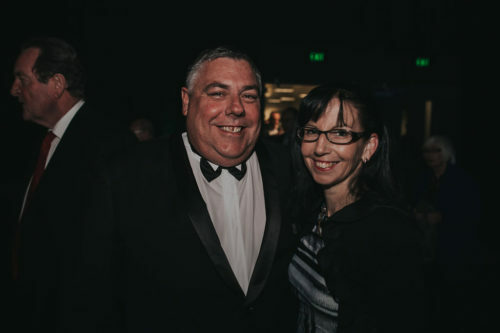 “The Awards recognises and celebrates the wonderful accomplishments and success of our region. Our record attendance of over 700 people and the range of finalists at the community, club and emerging to high performance levels really shows how outstanding the sporting year has been. 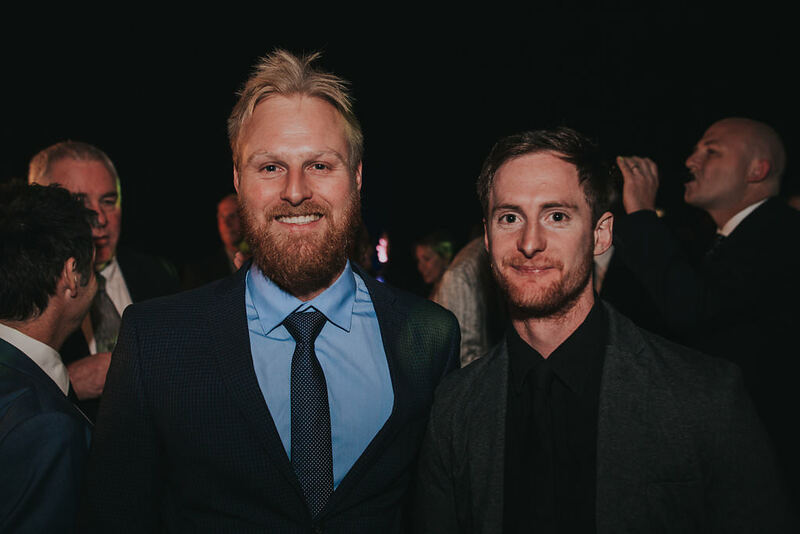 2016 was an historic season for the Hurricanes. In relentless style, they beat the Sharks, Chiefs and Lions during the Super Rugby finals series in Wellington, which culminated in a sold out grand final, where they lifted the title to break a 20-year drought. 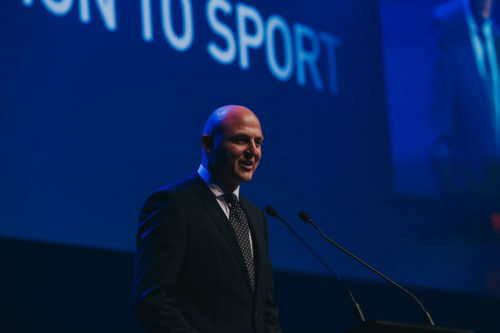 The team won 14 of 18 matches in total. 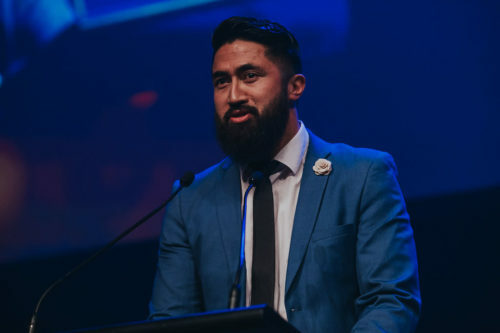 Inspirational during the play-offs, they did not concede a try during their finals matches at the Westpac Stadium, and prior to that had bagged more four-try bonus points than any other team in the competition. 2016/17 saw Mary Fisher perform yet again to the highest of standards in her sport, and continue to break world records. 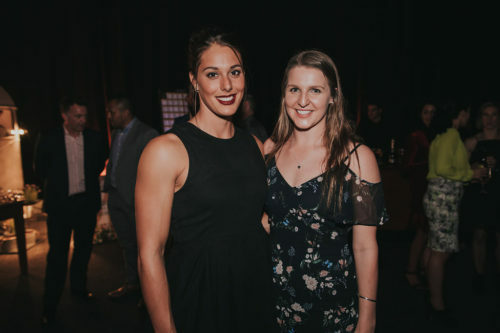 In April 2016 Fisher smashed her own world record in the 50m Butterfly in the S11 category knocking 0.3 seconds off the record which she held previously. 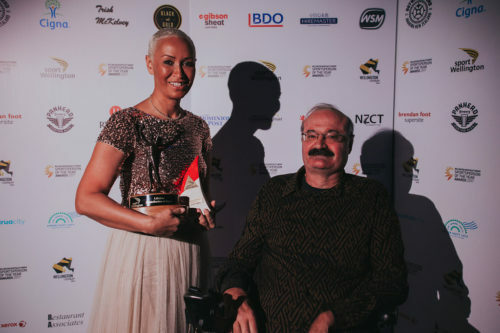 The visually impaired swimmer put in an outstanding performance at the Rio Paralympic Games taking gold in the 100m Backstroke S11, and setting another world record. She was also placed 4th in the 400 Freestyle S11, 50m Freestyle S11 and 200m Individual Medley SM11, and 6th in the 100m Freestyle S11. Fisher was the only Wellington sportswoman to win an individual medal at either the 2016 Olympics or Paralympics. 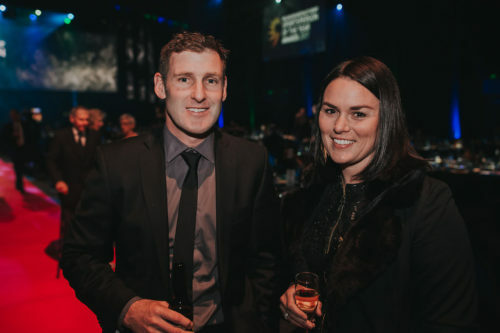 As the Hurricane’s and Super Rugby’s leading points scorer, Beauden Barrett led the Hurricanes in 2016 to the franchise’s first Super Rugby title in 20 years. During the final series, Barrett scored 39 points and kicked goals at a success rate of 80%, earning him the title of Investec Super Rugby Player of the Year 2016. 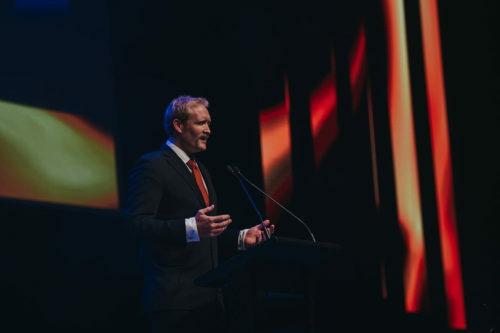 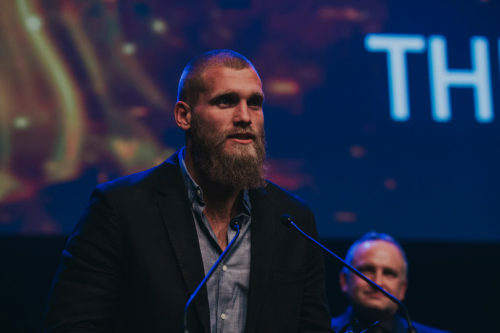 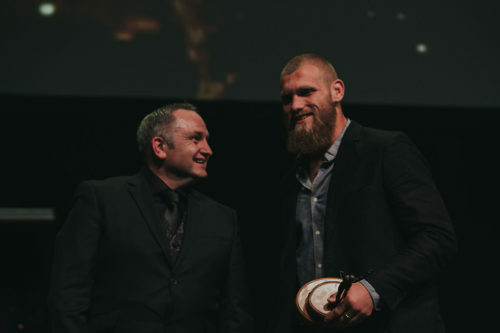 Barrett played 13 tests for the All Blacks, becoming their leading points scorer for the season, and was awarded the accolade of NZ Rugby Player of the Year 2016. 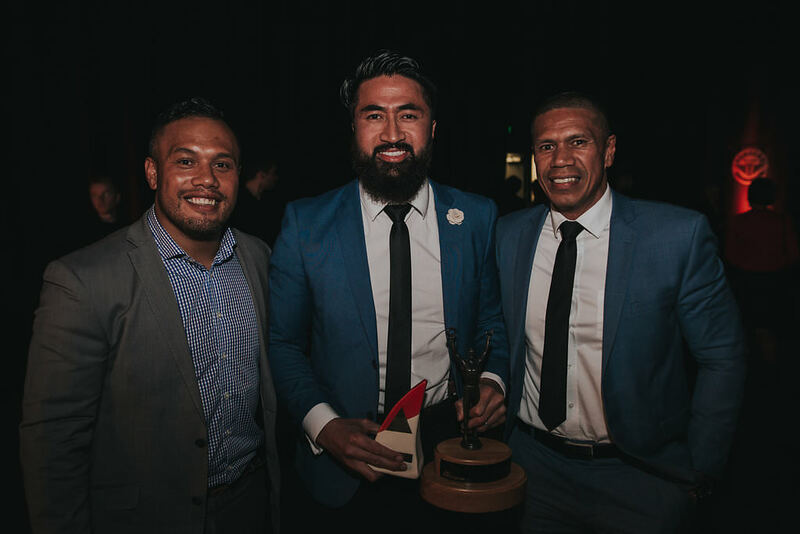 Recognition as the 2016 World Rugby Player of the Year followed. 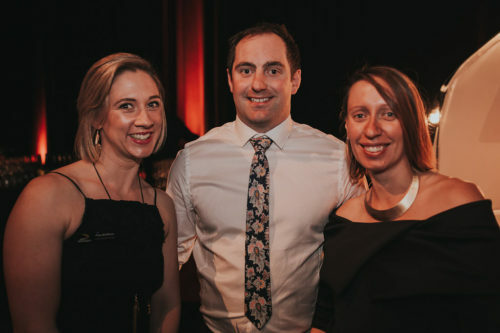 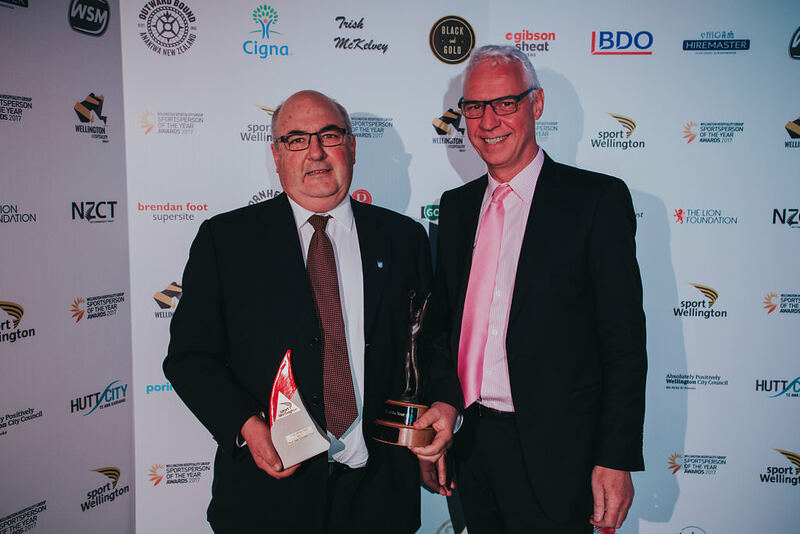 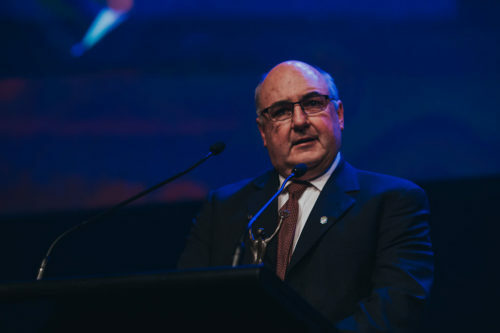 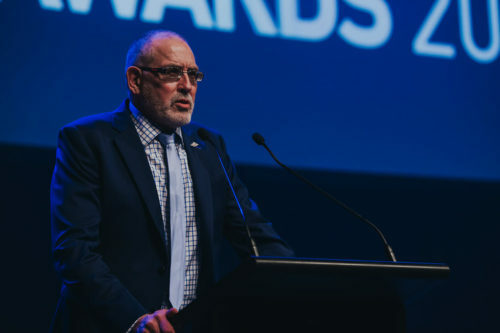 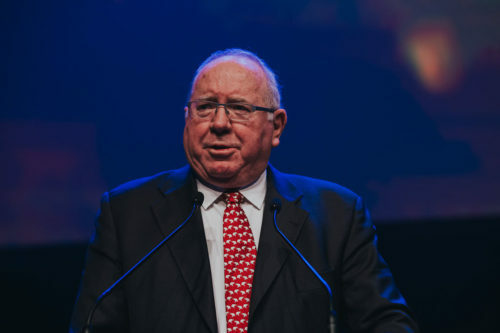 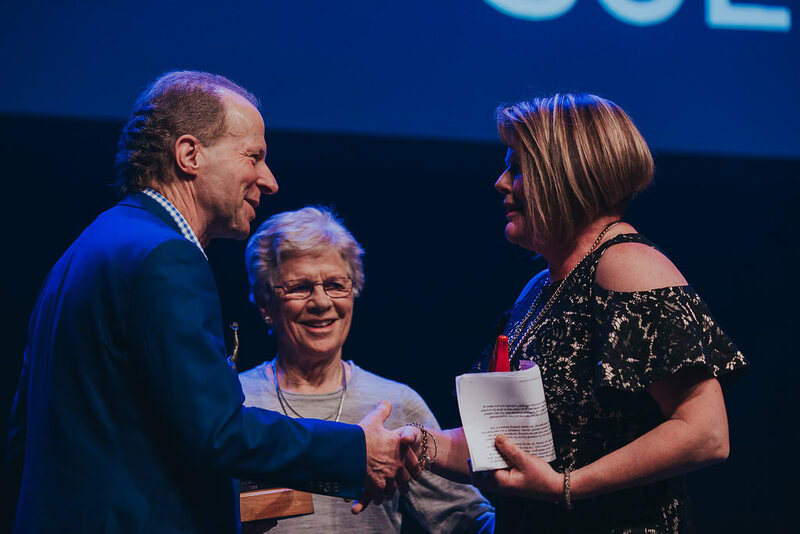 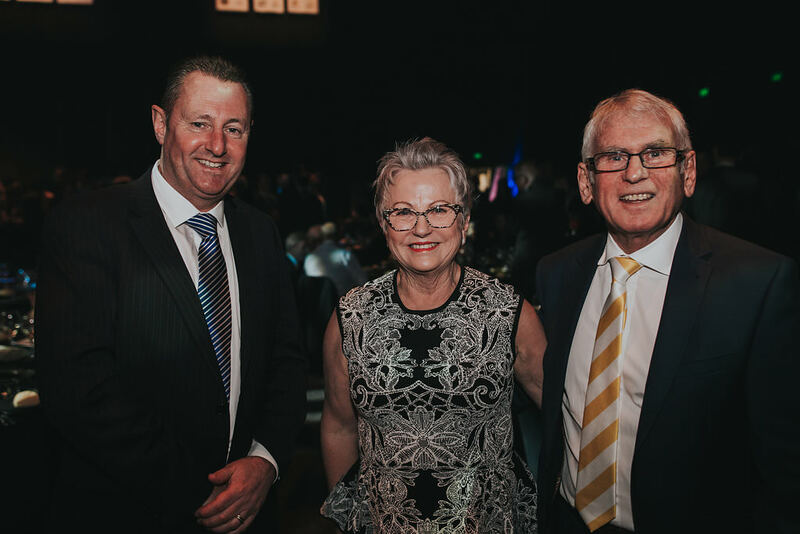 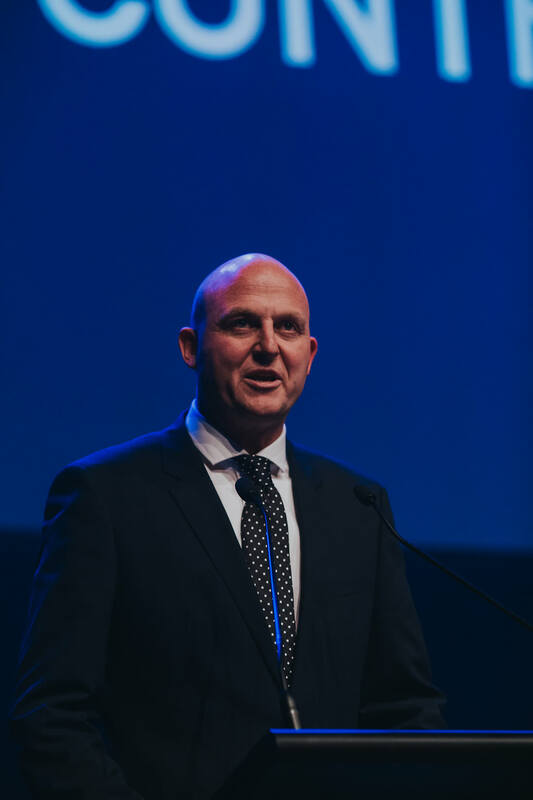 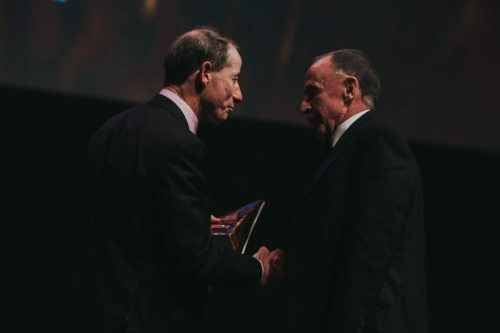 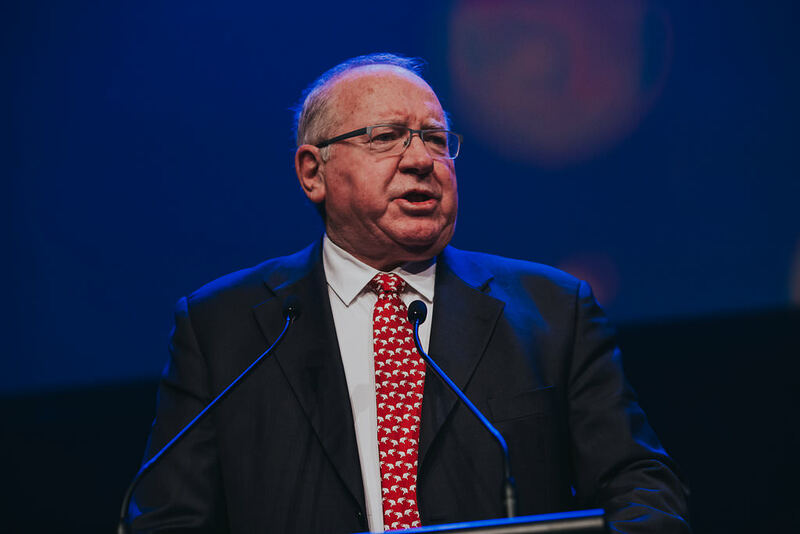 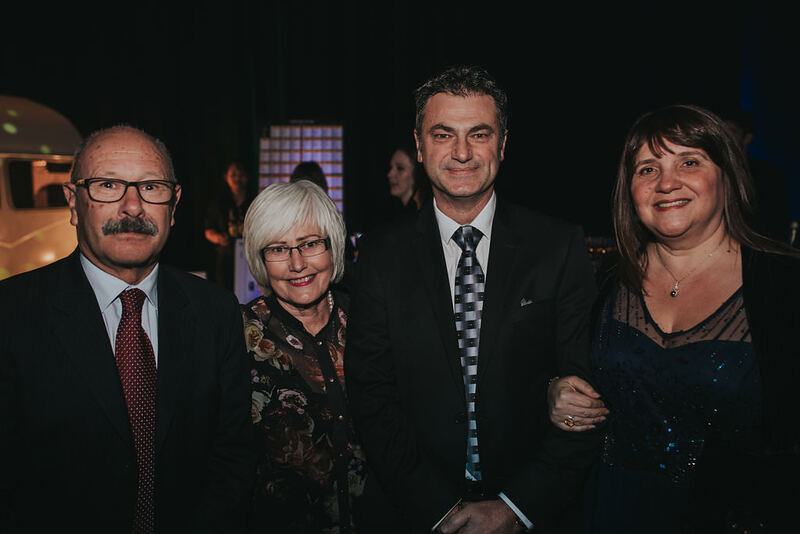 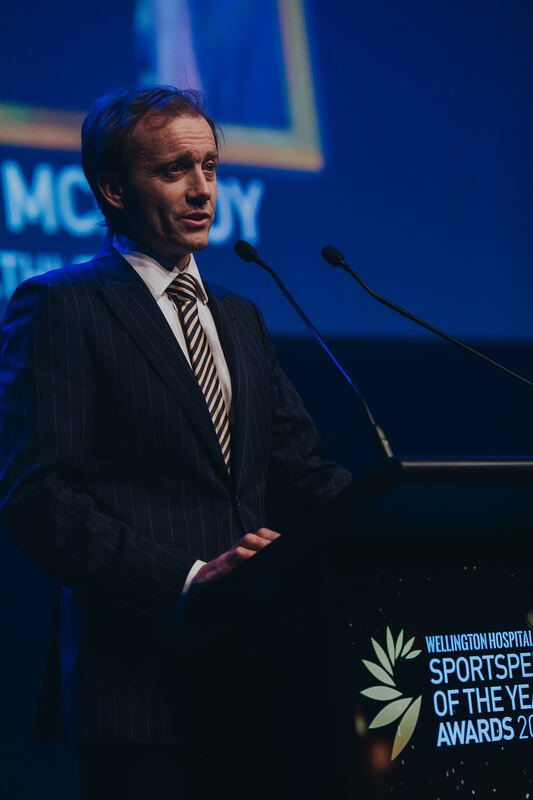 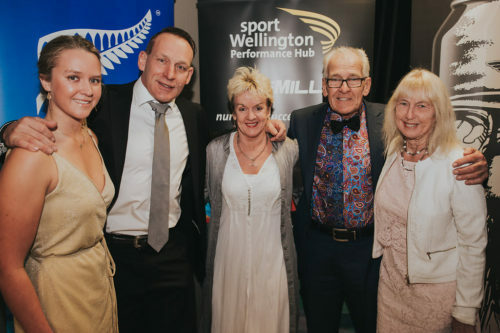 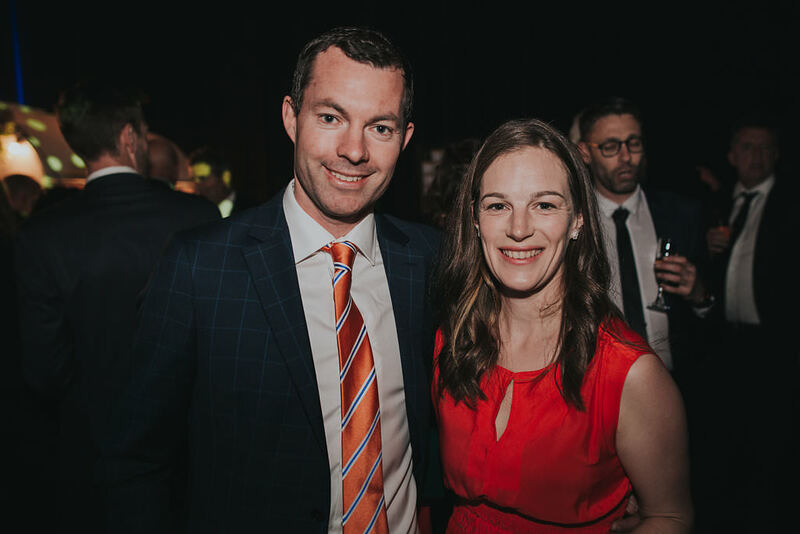 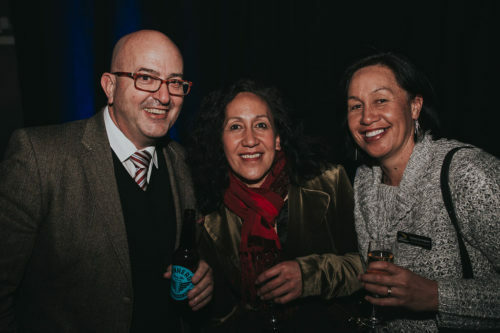 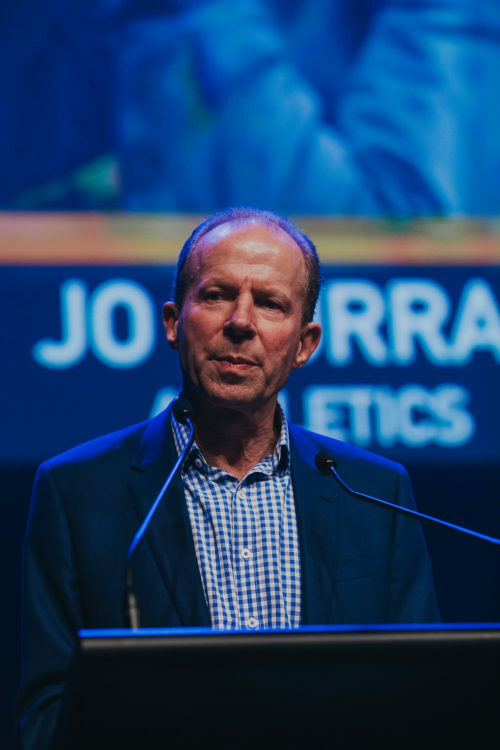 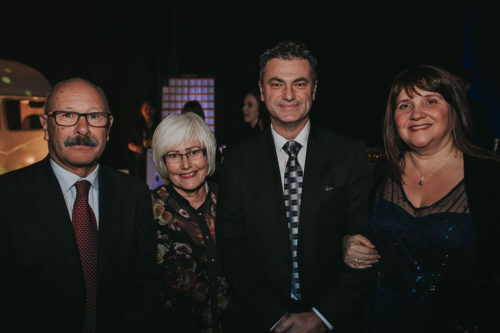 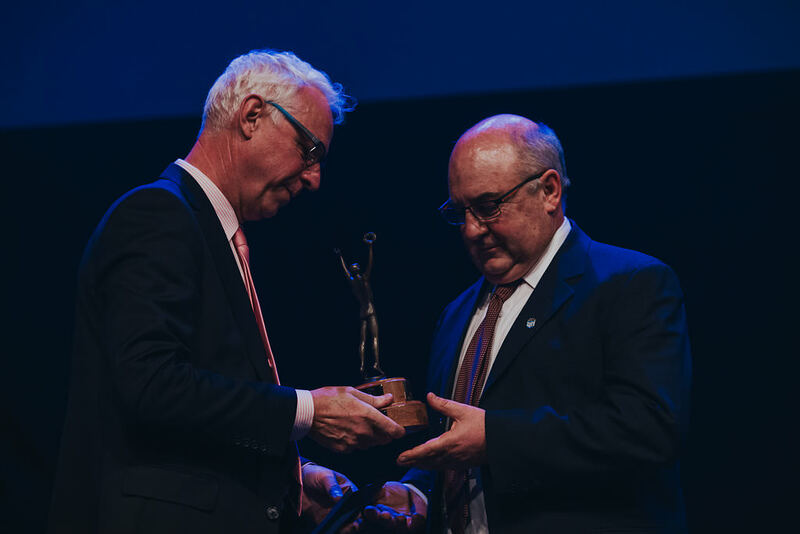 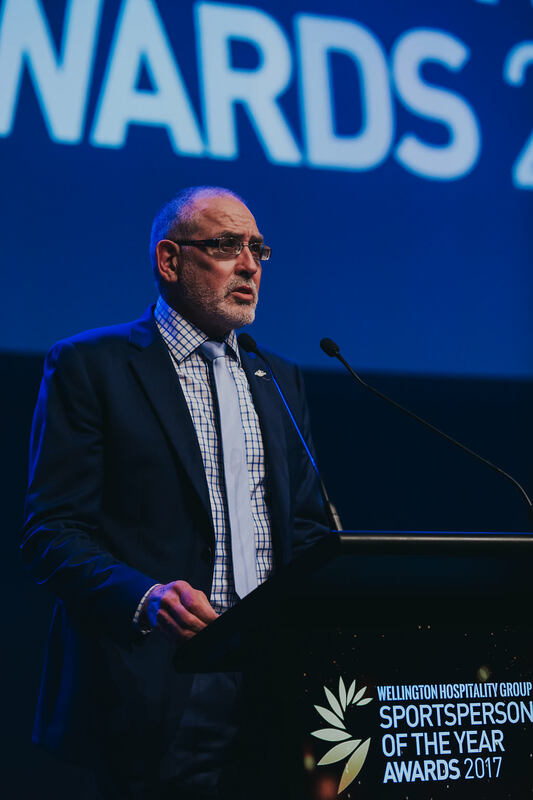 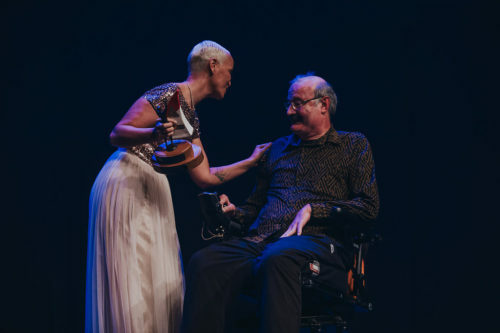 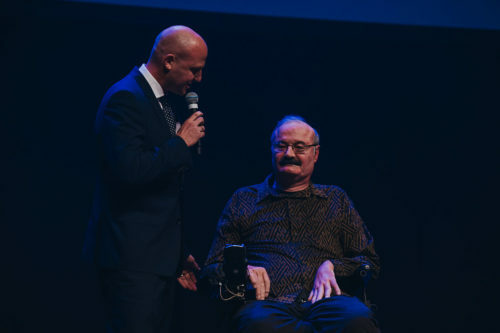 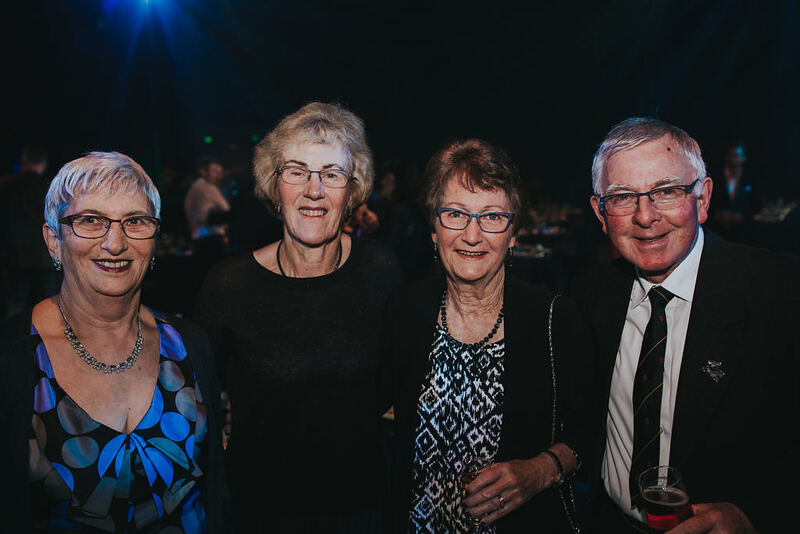 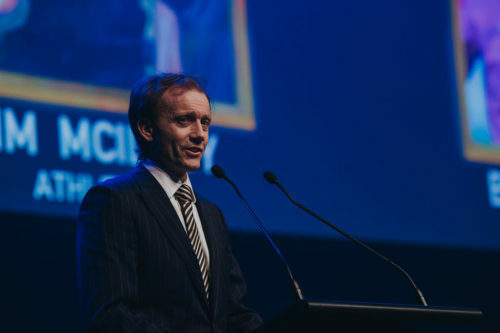 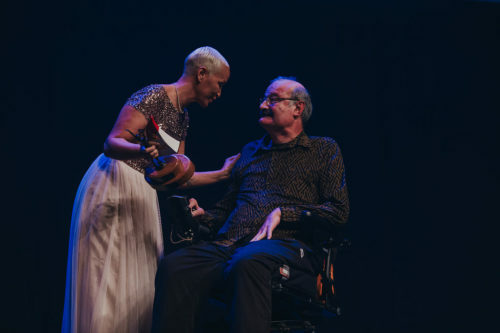 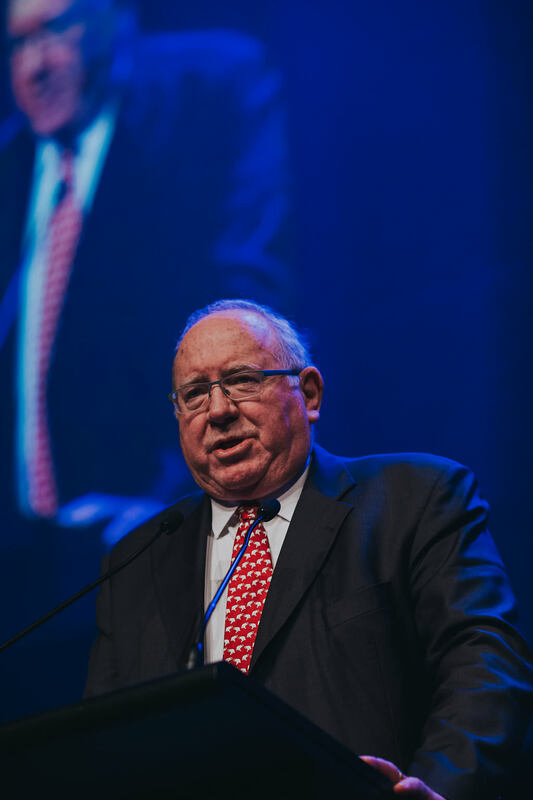 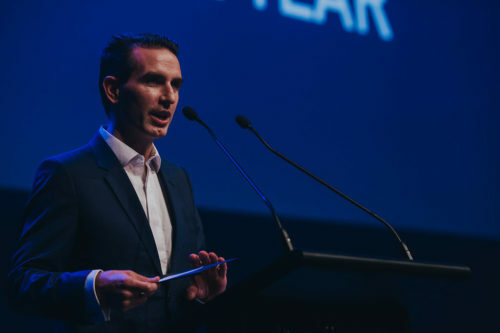 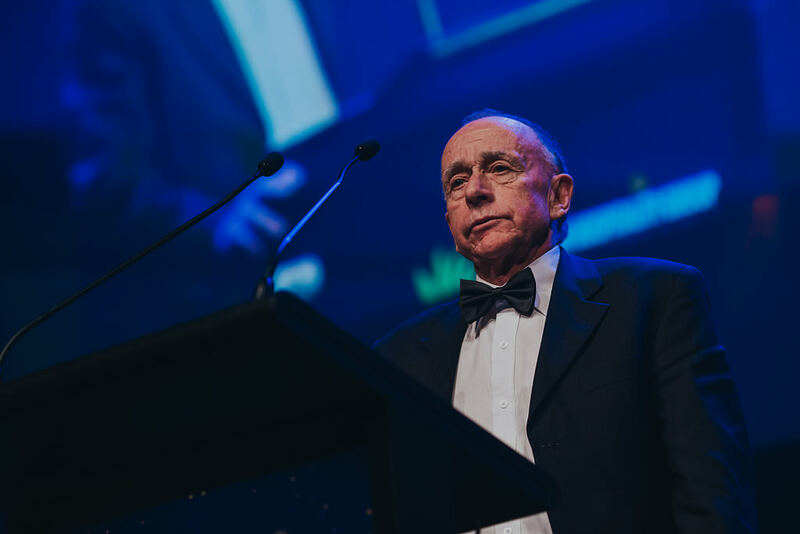 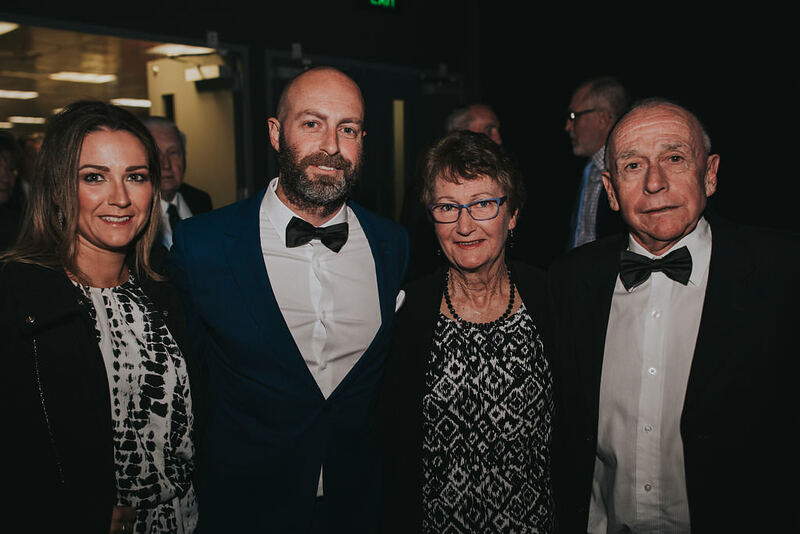 Justin Toebes was the recipient of the Wellington Community Trust ‘Lifetime Contribution to Sport’ Award for his long-standing contribution to basketball. 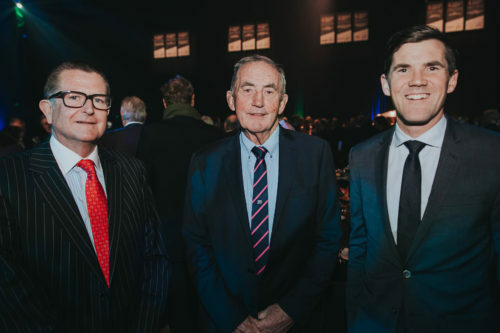 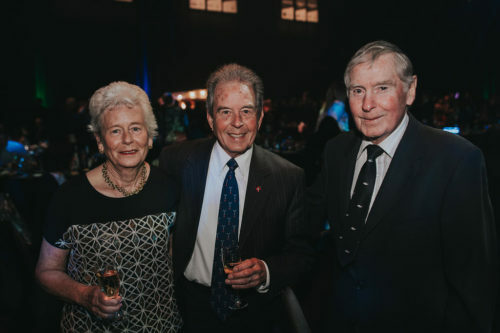 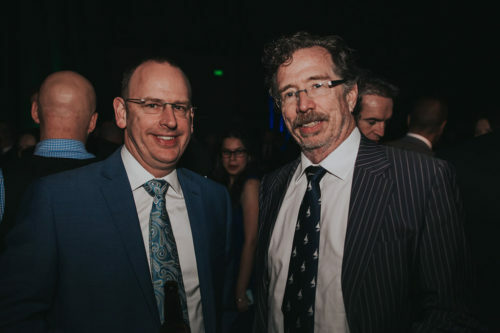 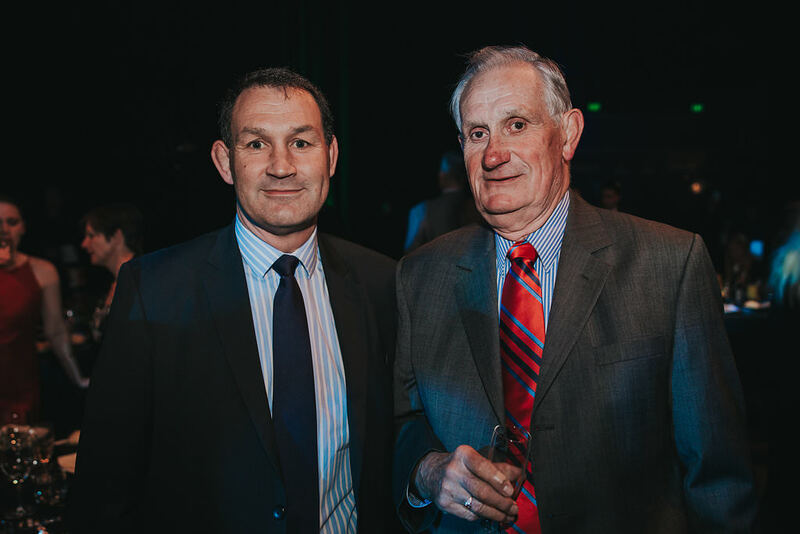 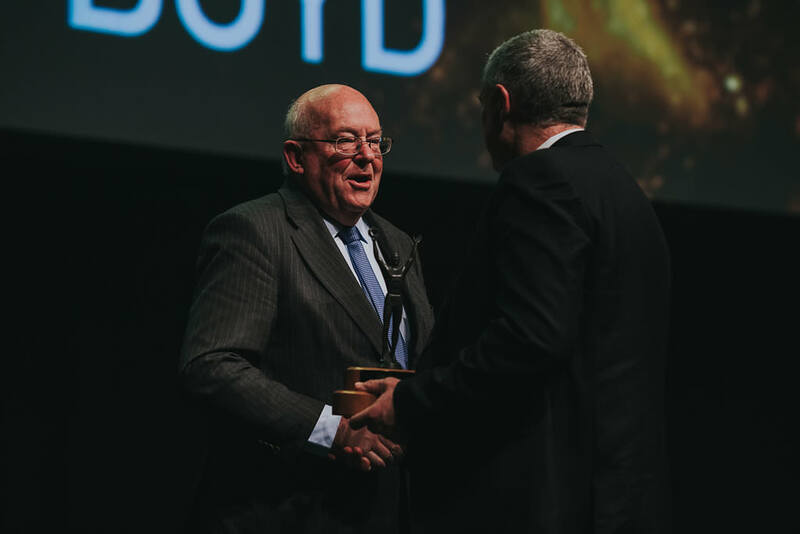 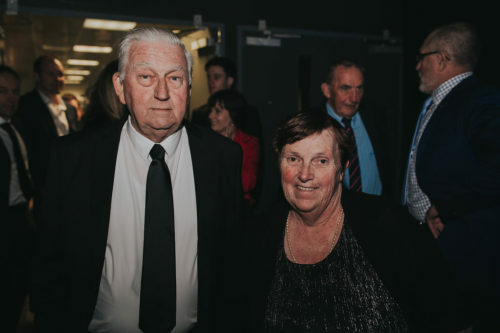 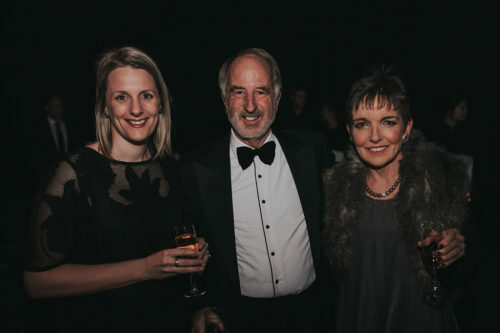 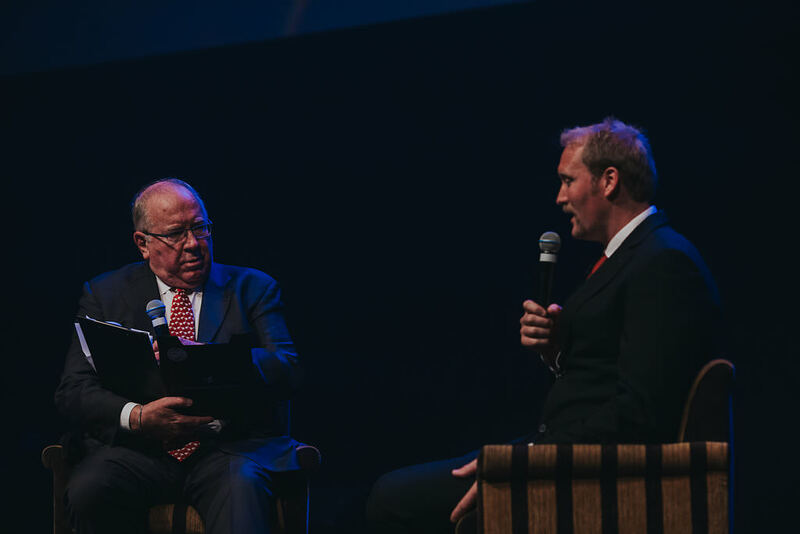 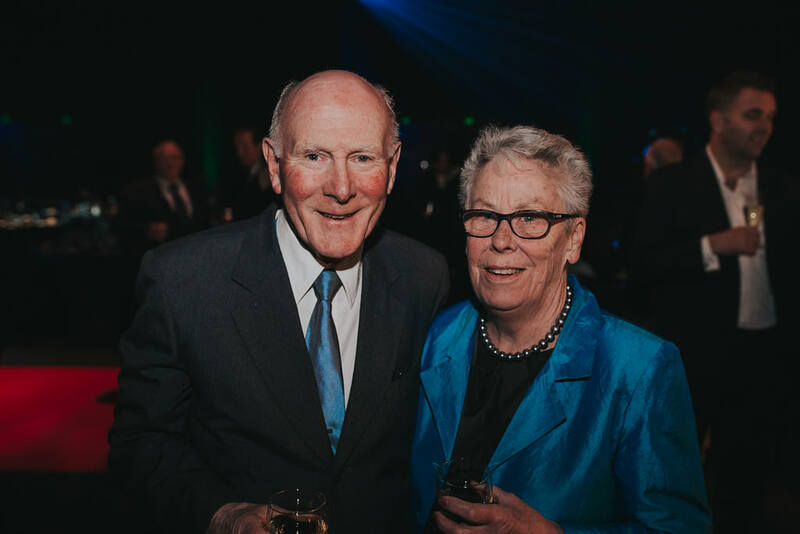 Toebes was recently made a Member of the New Zealand Order of Merit for services to basketball, his citation detailing how he put not only his time but his own money into keeping basketball in Wellington afloat. 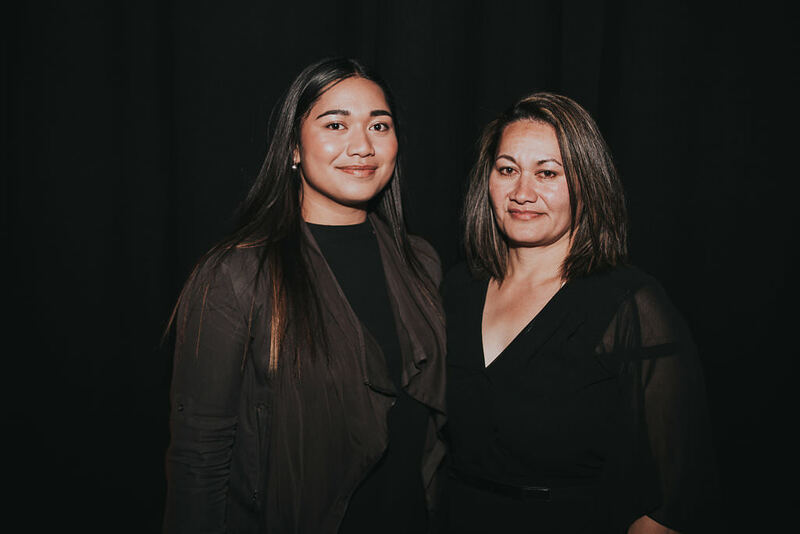 Having just turned 16 in January 2017, Tiana Metuarau has already achieved a huge number of successes in her sport. Recognised as the Wellington Region Emerging Player of the Year 2016, and recipient of the Wellington Region Under 17 Excellence in Shooting Award, Metuarau was also named Shooter of the Tournament in the National Secondary School Tournament. The youngest player in the 2016 Beko League, Metuarau’s consistently impressive form was duly recognised with elevation to the New Zealand U21 team and Silver Ferns Development Squad. 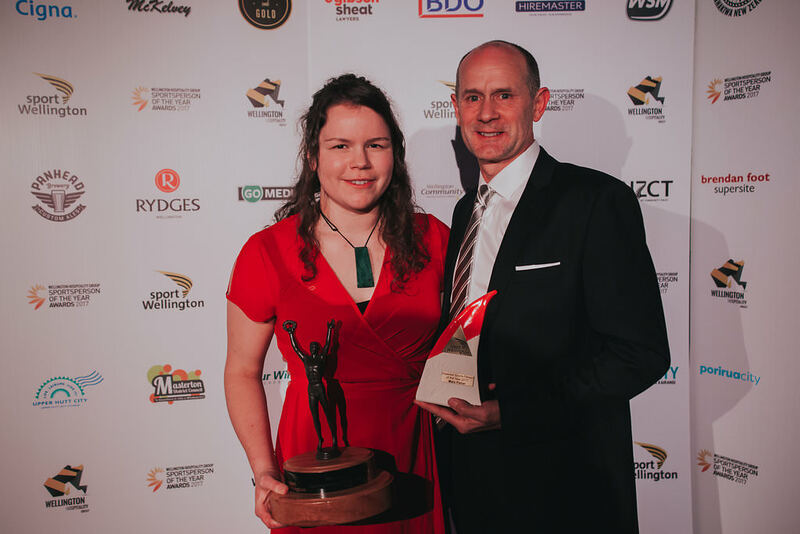 The College Sport Wellington Netballer of the Year, Metuarau had hoped to make the Pulse in her final year of college, but her hard work and dedication has seen her fulfil that ambition a year early with selection for the 2017 season. 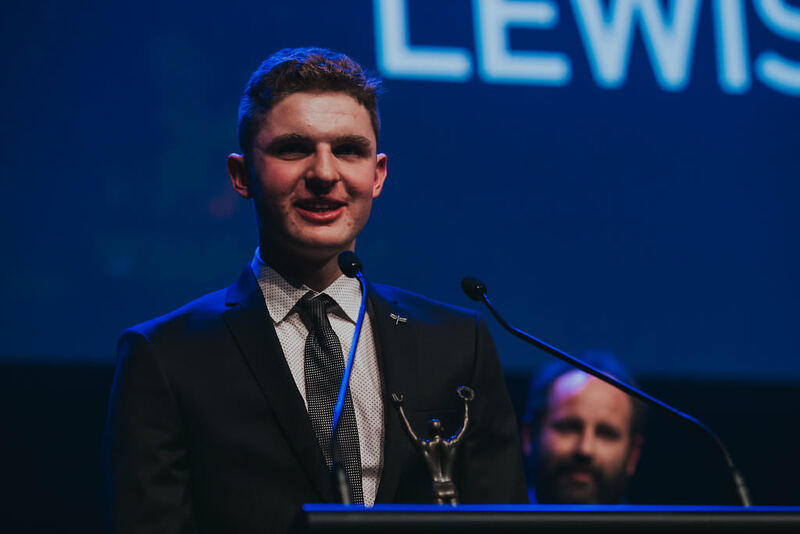 At the April 2016 New Zealand Age Group Championships Lewis Clareburt, a Pathway to Podium athlete, won four national age-group titles (200m and 400m freestyle, 200m butterfly and 400m individual medley). 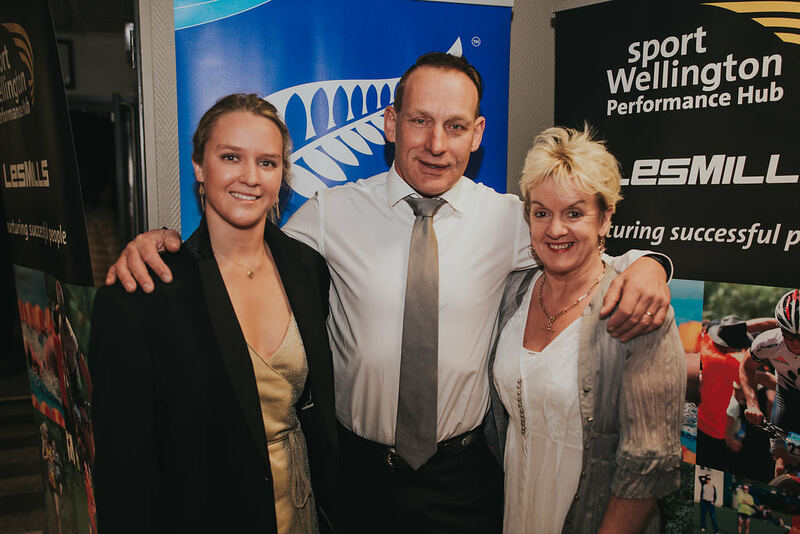 At the same event in March 2017 he won eight national age-group titles, and broke the New Zealand age-group record for the 200m freestyle set in 1993. 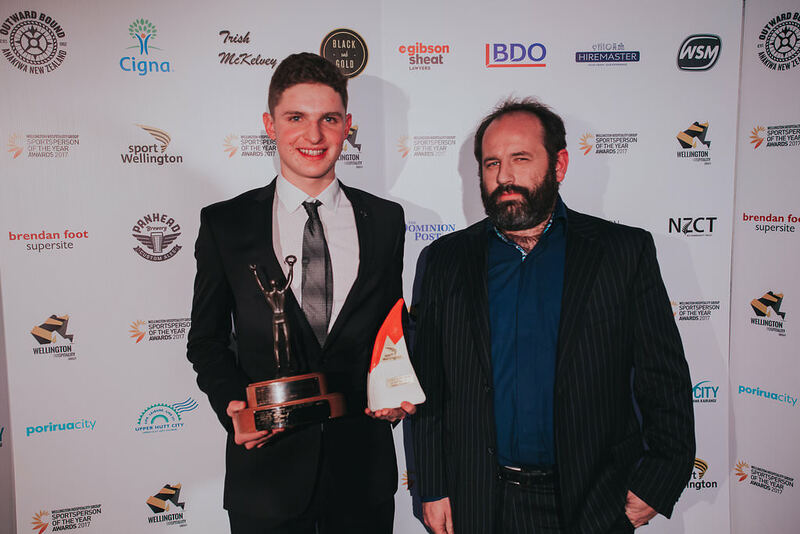 Clareburt competed for New Zealand in the 2016 Junior Pan Pacific Championships where he achieved six personal bests, and broke a 26-year Wellington record with his 400m individual medley time. Lewis also competed for the Junior Black Fins team (Surf Lifesaving) at the 2016 Lifesaving World Championships, which won the world title for a third time. 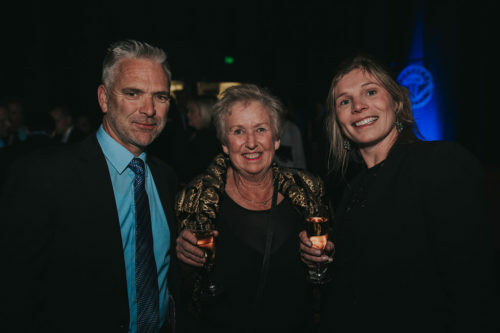 The growth of the Olympic Harrier and Athletic Club from a cross country club 11 years ago to a fully-fledged athletics club is due in no small measure to the tireless efforts of Amanda Goldsmith. 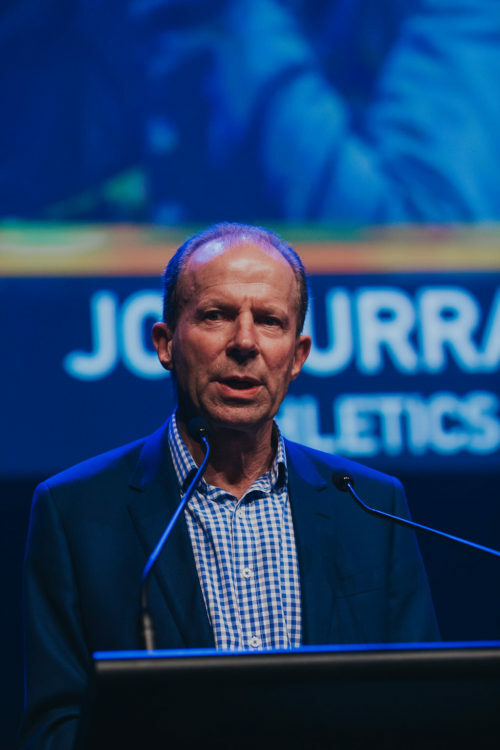 The club is now the biggest junior athletics club in the Wellington region with over 300 members. In 2017, Olympic won the Athletics Wellington Inter-club Overall Club Trophy for the sixth year in a row, and the Athletics Wellington Junior Club Trophy for the third time in the past six years. The club is adamant that none of this could have been achieved without Goldsmith’s invaluable input. 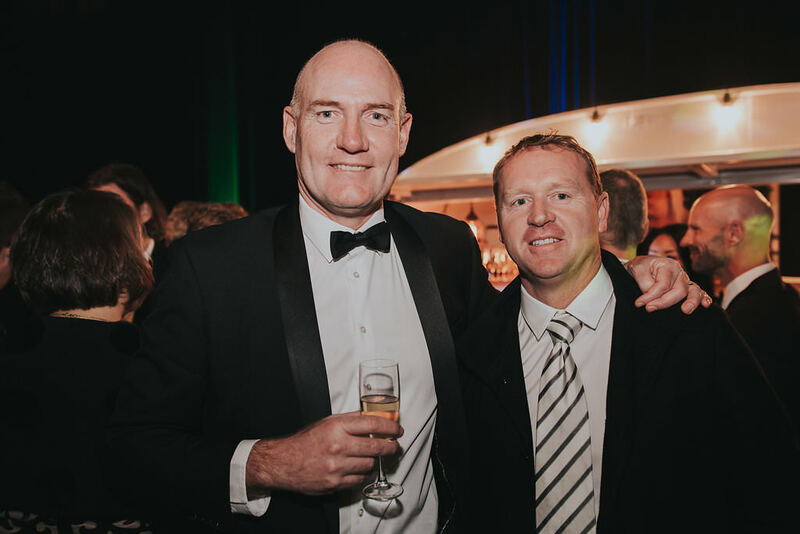 In his second season as Hurricanes Head Coach Chris Boyd took the team to its inaugural Investec Super Rugby championship title. 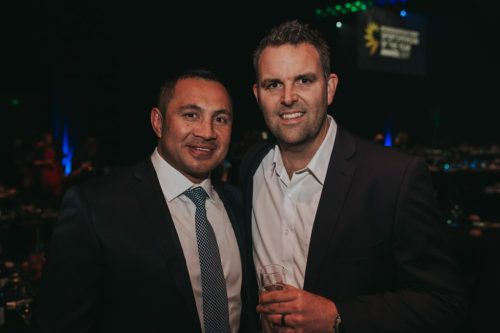 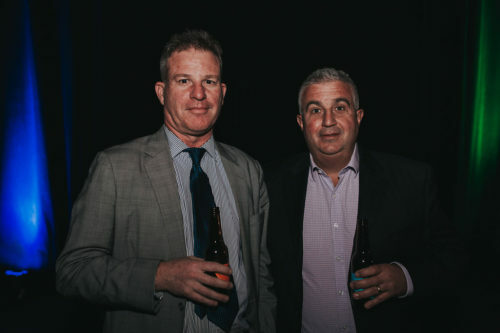 Under Boyd’s watch, the Hurricanes were both entertaining and successful in equal doses with the team achieving a combined score of 86-12 in their final wins on their home ground. 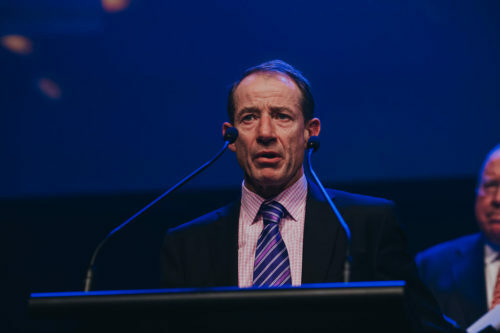 Boyd’s Hurricanes contributed five players to the All Blacks in 2016. Notably Beauden Barrett, who was named World Rugby Player of the Year, has flourished under Boyd’s coaching. 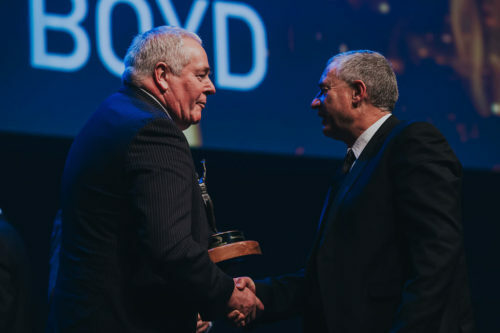 Boyd’s winning record since being appointed Head Coach, at the time of this application, stood at 82%. 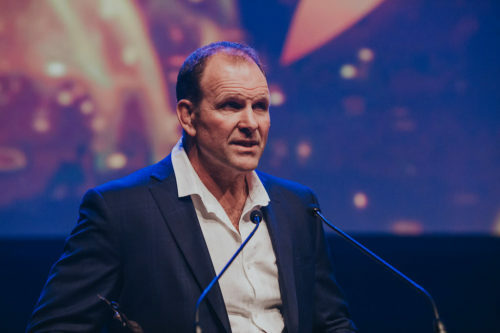 One of New Zealand’s most successful batsmen, Coney played 52 Test matches and 88 One Day Internationals (ODI) for his country, captaining 15 Tests and 25 ODIs. A steady medium-pacer and fine fielder, he made 16 Test fifties and three Test centuries during his career. 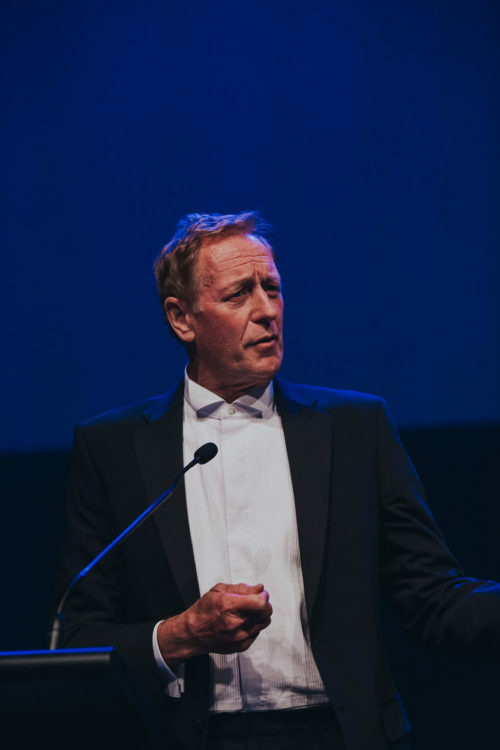 In 1986 Coney was awarded an MBE for services to cricket. 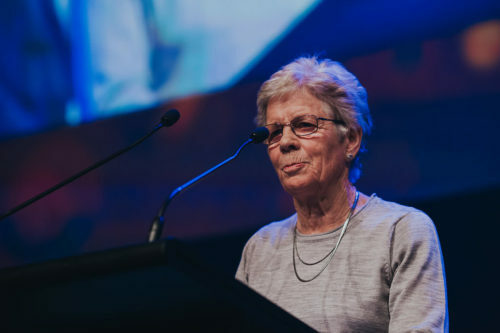 New Zealand Cross Country Champion in 1969 and 1974 Commonwealth Games competitor, Rose contributed to one of the greatest team results in New Zealand sport, famously winning gold in the 1975 IAAF World Cross Country Championships in Morocco. Also a women’s rights advocate, Rose successfully campaigned in the 1960s to allow women to join athletics clubs. 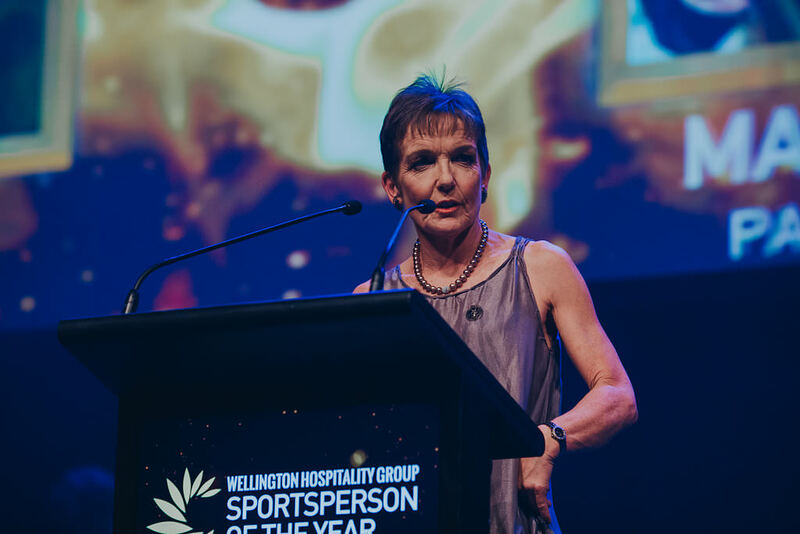 Generally regarded as the best women’s croquet player in the world in the late 1970s, Jarden won numerous titles at home and overseas. 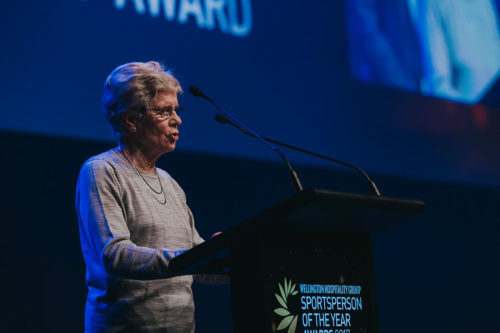 After winning her first trophy in 1956 with the NZ Championship Doubles, Jarden’s career spanned almost 30 years, securing her last title in 1982 (NZ Veterans Doubles). 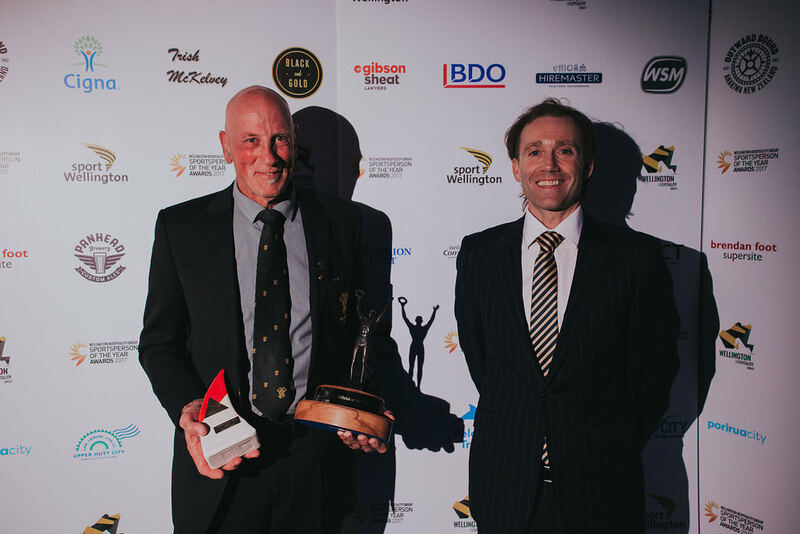 Recognised as the New Zealand Cricket Club of the Year 2016, Red Star Cricket Club’s progressive approach to club development is paying dividends. 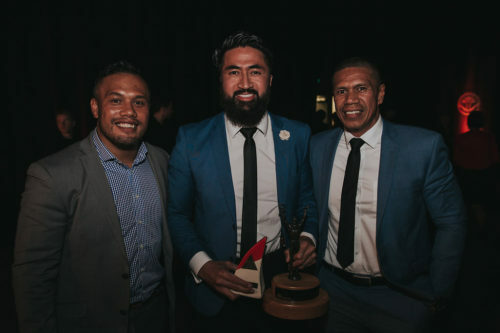 For the 2016/17 season Red Star fielded two premier men’s teams, alongside an outstanding 15 junior sides encompassing 170 participants, including 36 female players. As such Red Star is one of the three largest sporting clubs in the Wairarapa. The growth of the junior side has been phenomenal. 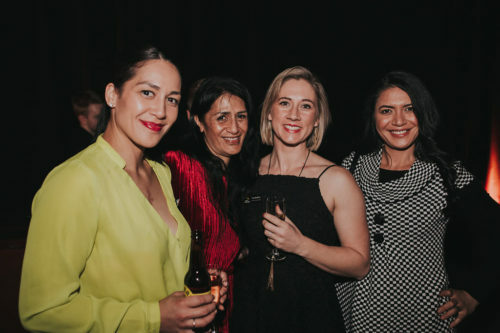 Red Star has also been at the forefront of developing the female game within the province, being the first ever Wairarapa Club to field a female only side. 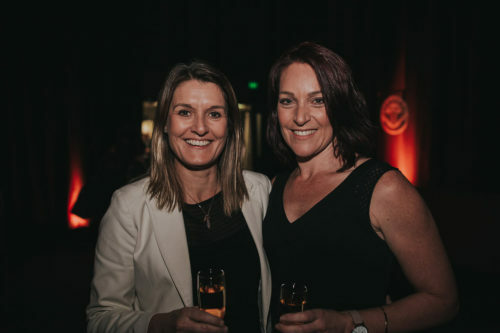 They are also very proud of the fact that 30% of their coaches or managers are female. 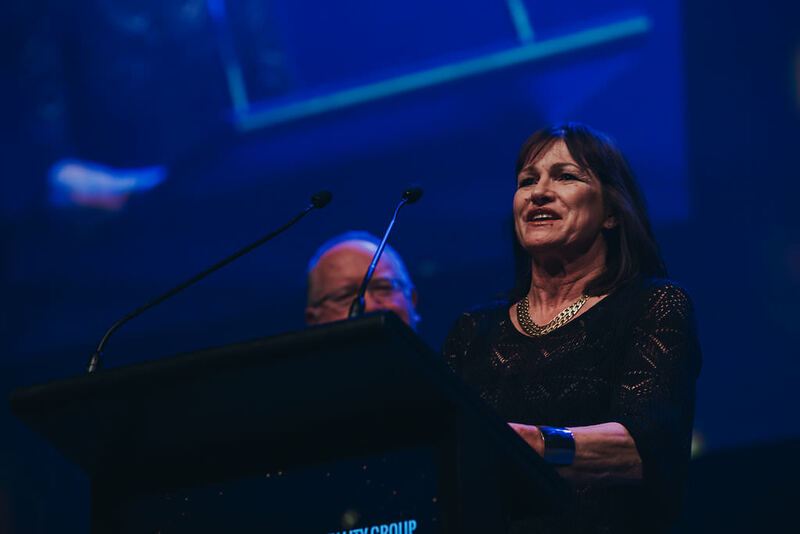 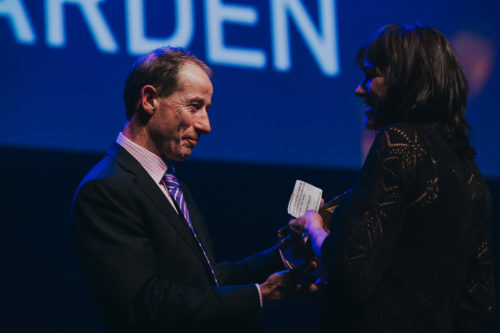 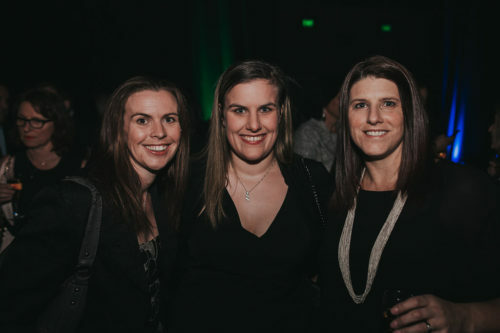 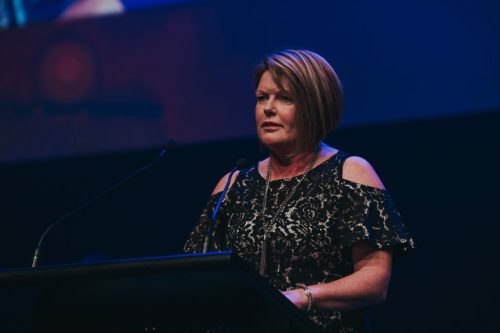 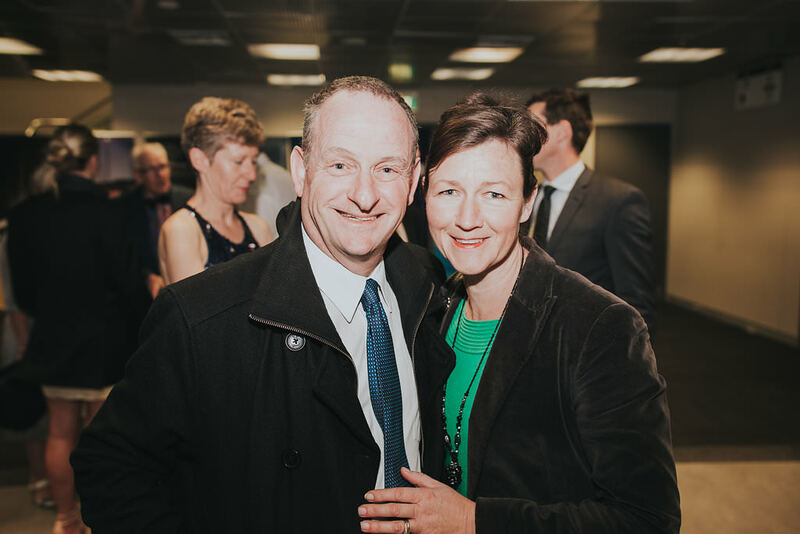 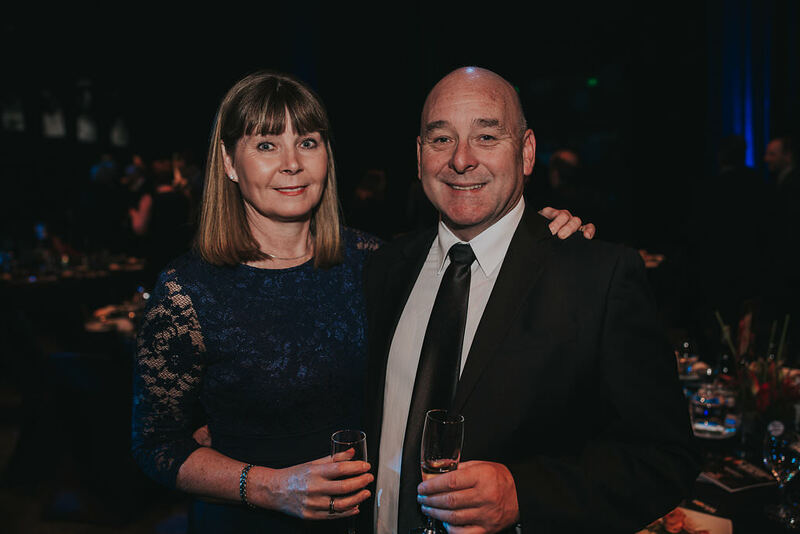 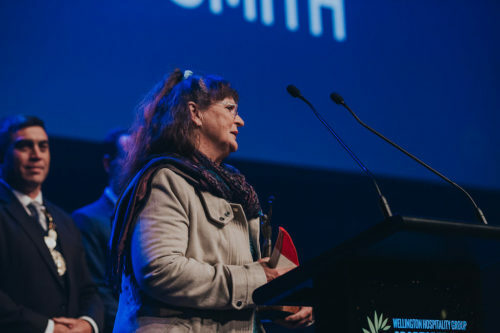 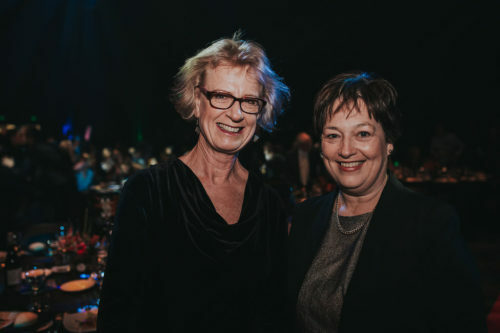 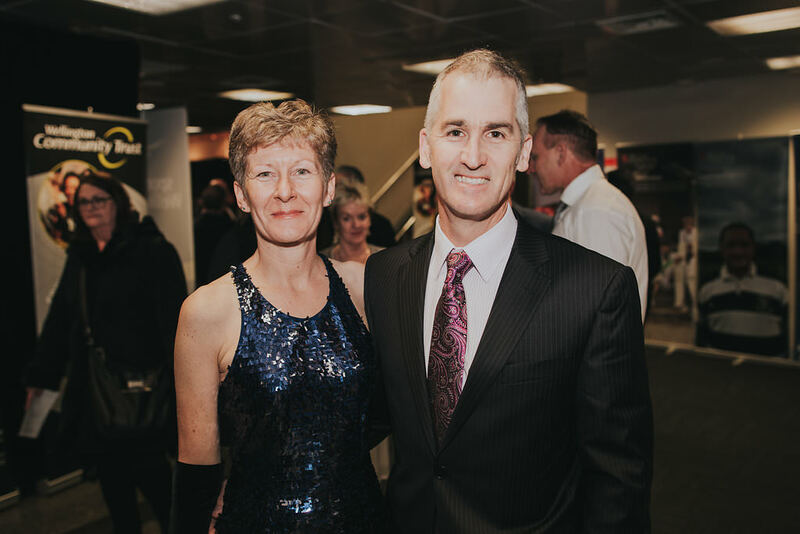 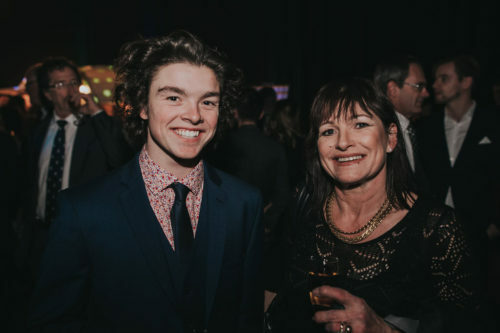 Sue Geale is General Manager of Netball Wellington, and when she took on the position just over four years ago, she was given the task of turning the Centre around to make it sustainable on and off the court. 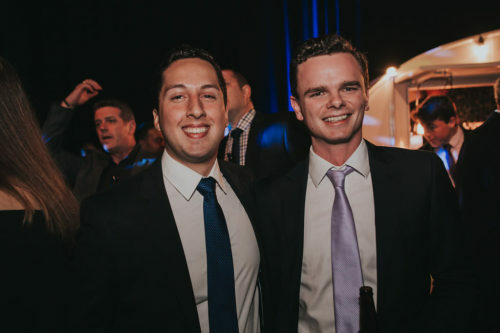 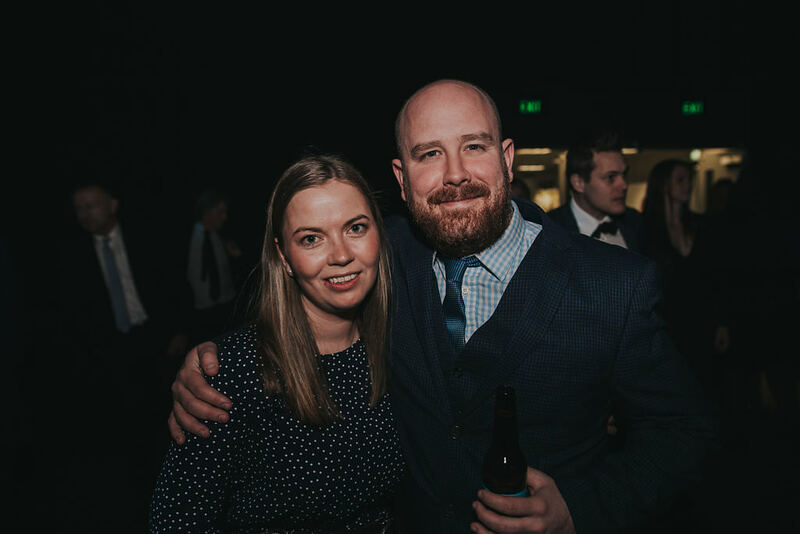 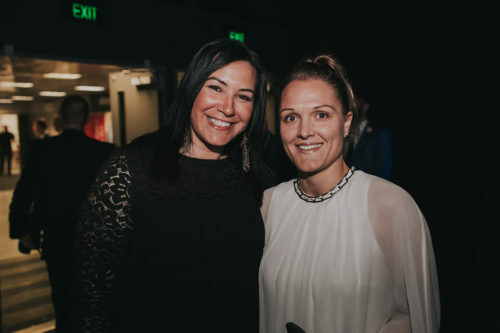 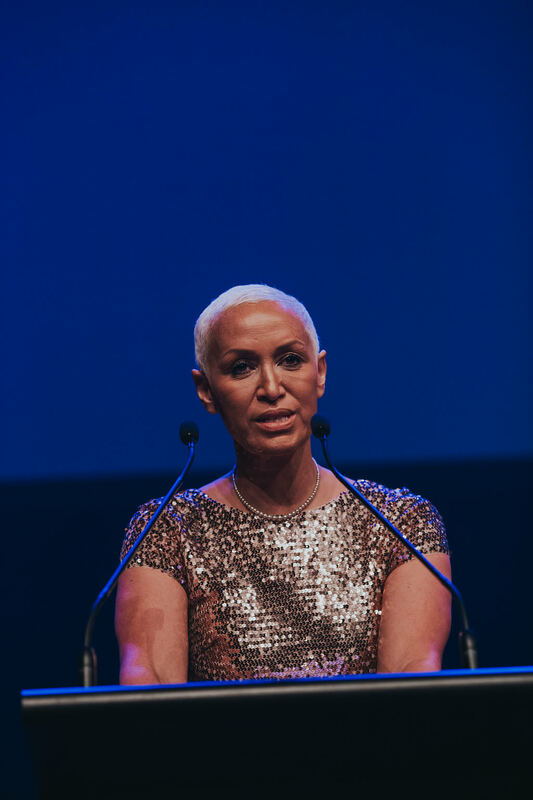 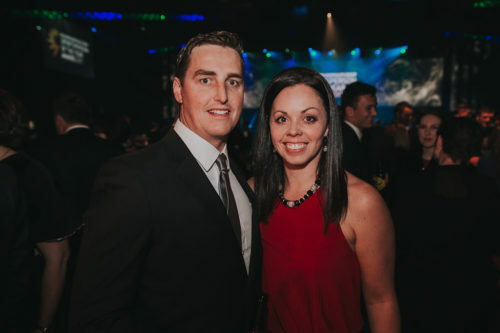 2016 was a successful year in both areas due largely to Geale’s leadership, foresight, and in-depth understanding of the business, the sport, and her staff. 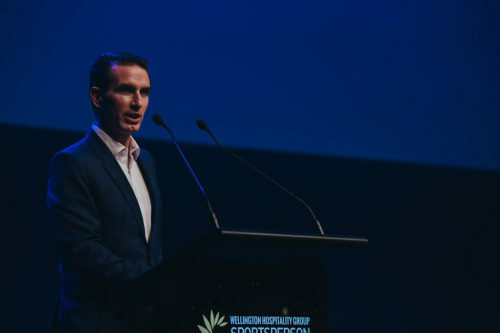 Under Geale’s leadership, financial reserve targets have been met, the board was encouraged to support an additional U17 team, an Emerging Talent programme was successfully realigned and reintroduced, and the Centre is abuzz with games and motivated staff. 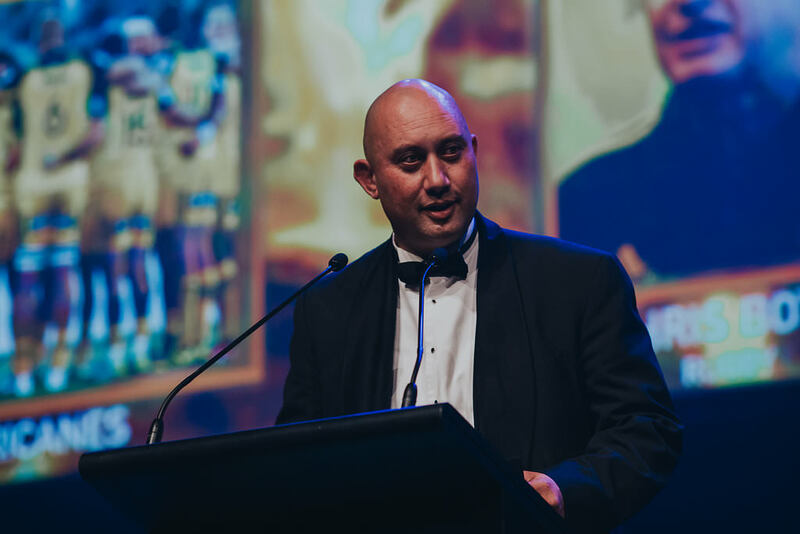 In 2016/17 Ben O’Keeffe continued to lead the way as Wellington’s pre-eminent match official with international, Mitre 10 Cup and Super Rugby appointments. 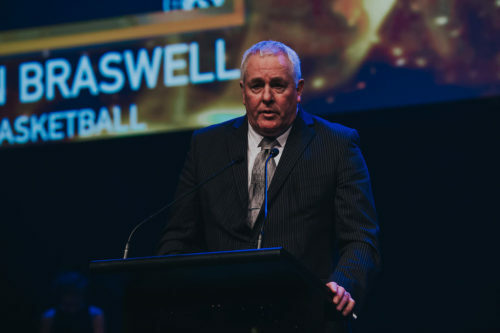 He carries out his refereeing duties in an understated but professional manner. Whilst O’Keeffe achieves at the very highest level as a rugby referee, with his recent Six Nations appointment being the undoubted highlight, he is quick to give back at the local and community level. 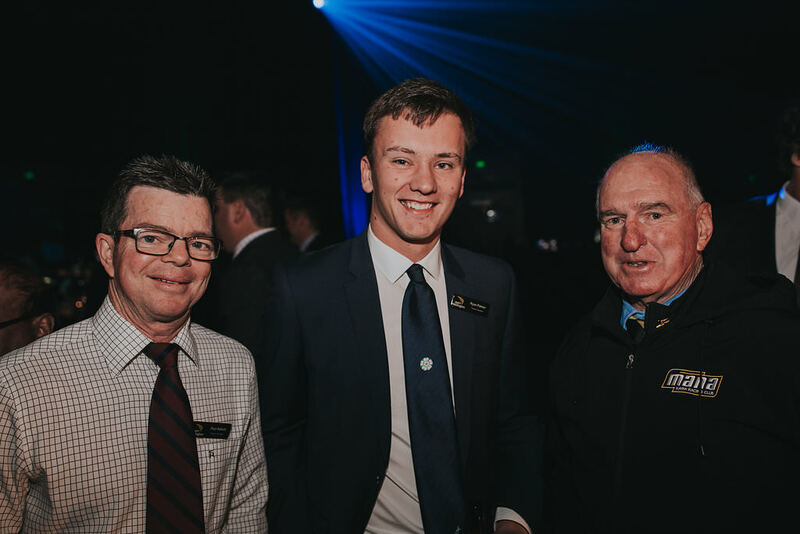 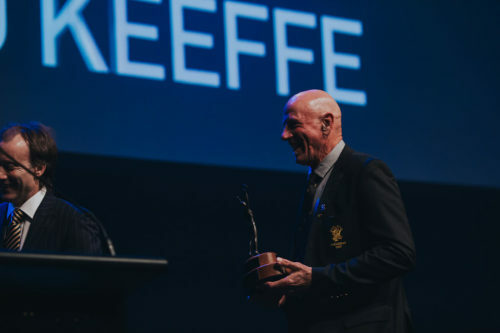 O’Keeffe has recently given his time freely to promote the role of a rugby referee as part of a series of referee recruitment videos produced by Wellington Rugby. 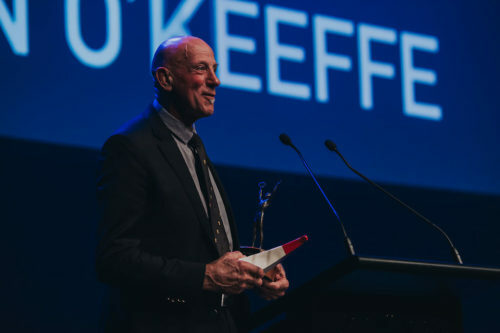 O’Keeffe will often be seen at the Wellington Rugby Referees meetings offering his advice and support for the next crop of referees coming through. 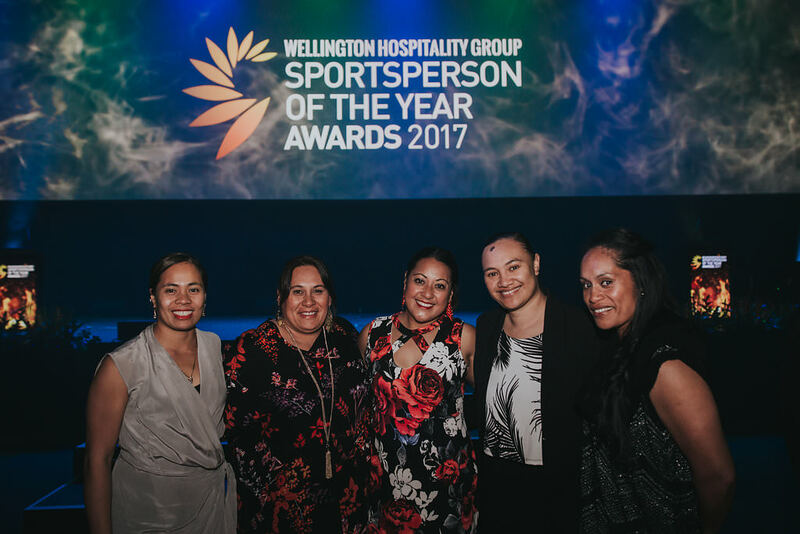 Open to an individual that has brought colour, passion or flair, and contributed positively to the culture of sport, either on or off the field. 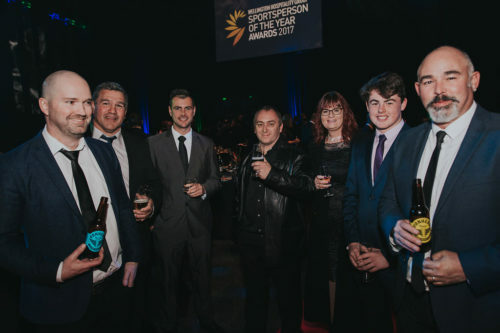 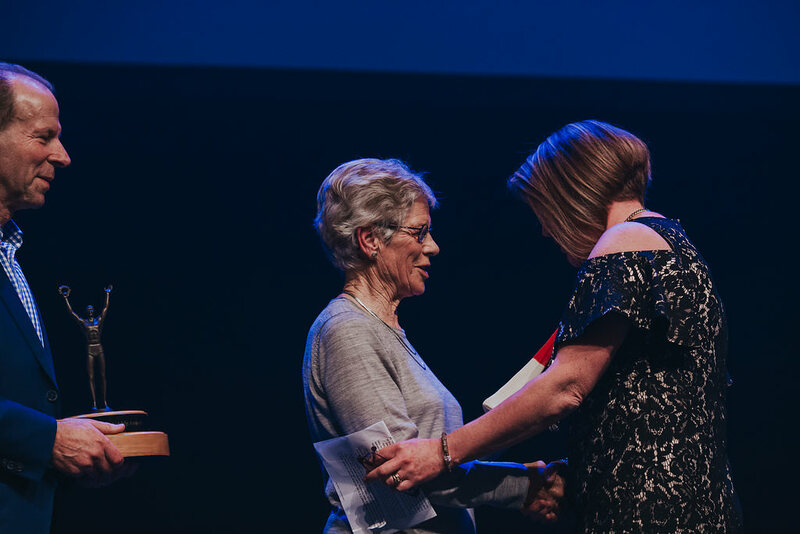 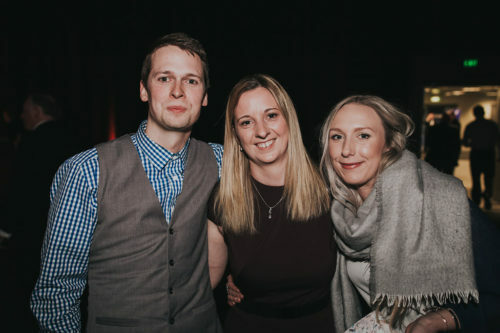 This year’s finalists were nominated for their invaluable contribution to their respective teams, along with being seen as positive role models within their sport and wider community. 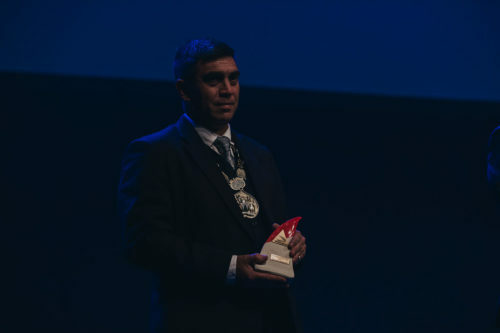 The winner of the award was decided by public vote.